"There is a growing rift between existing civil society institutions like unions and neighbourhood associations, and the young Umbrella activists who have a deep mistrust of those institutions as vehicles for achieving change. This latter division is especially problematic. 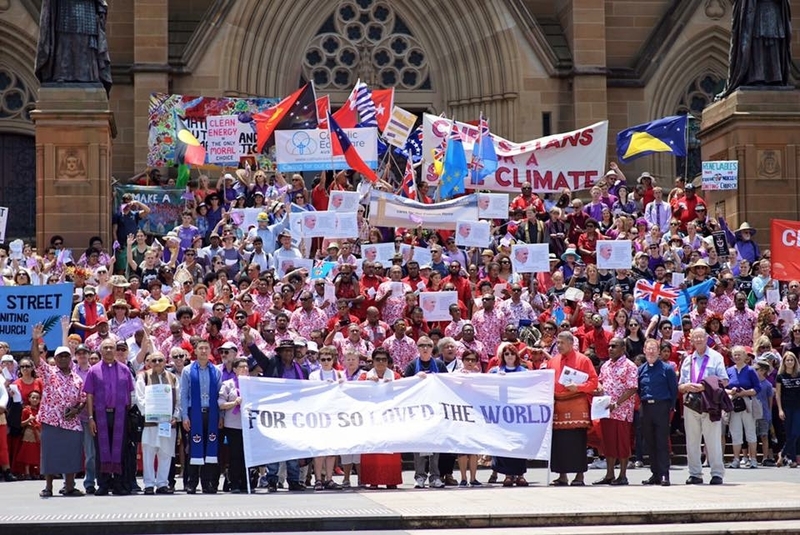 For those we talked to across this divide, the story of the Sydney Alliance clearly conveyed great hope – and our training actually brought together a very diverse group of people and shared some skills for working through divisions and building effective alliances”. Here's a report on key developments including climate, housing, transport, jobs and more. There’s no question about what Mosbacher has decided to do with his power or his anger. As the Rabbi at Beth Shalom in Mahwah, New Jersey, Mosbacher understands his power in speaking to his congregation. “I think that people in my congregation are looking for meaning. I really believe that. And that if I’m not talking about what’s going on in their lives and in the real world, then I think Judaism will be more irrelevant to them,” he told Generation Progress. 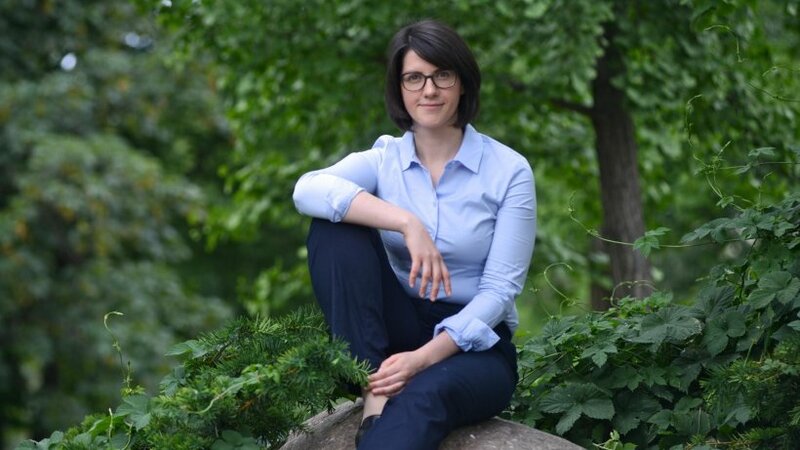 Complete interview in Generation Progress with Bettina Weiss. 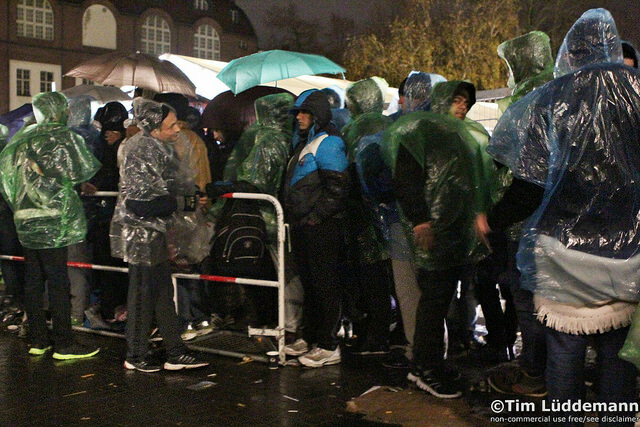 The refugees "administrative crisis" in Berlin: community organizer Christiane Schraml reports from waiting lines, night tents and where refugees and citizens come together. 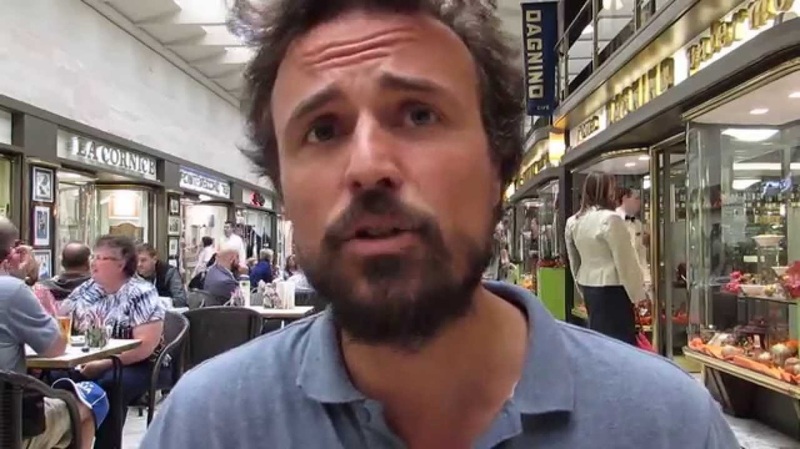 Get up to speed on what's happening through Radio Radicale here (Diego Galli). 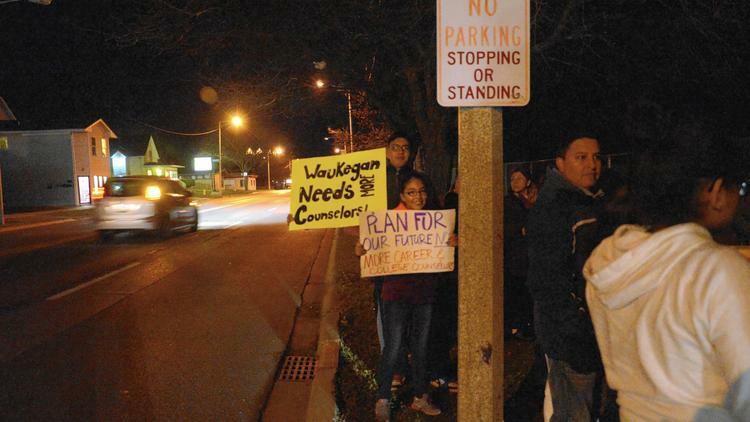 "There are other students like me who want to strive for the biggest dream they can and be able to accomplish it, but we need a lot of hands-on, full-time support that we are not getting right now," said senior Amanda Ruano, who said she started a group called Waukegan Forward to advocate for students. 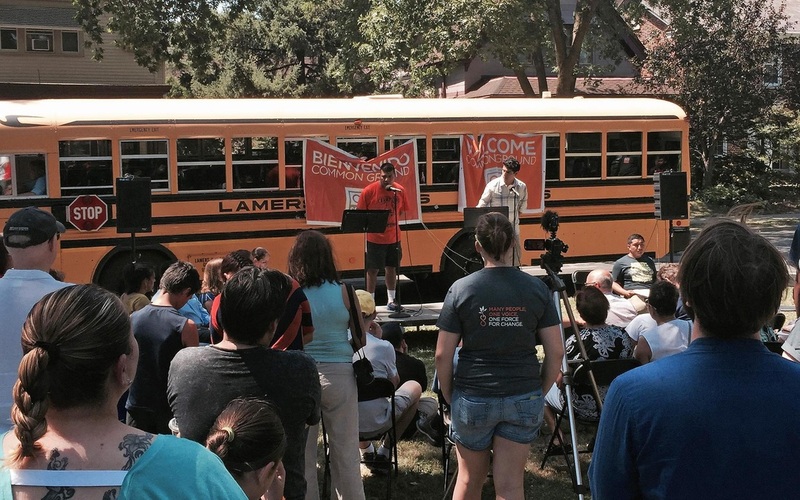 Ruano spoke at a press conference organized by Lake County United and Waukegan Forward outside the high school Thursday evening. Two days before, the district released a statement in response to what it called a community group that "claimed for several months that the counseling services at WHS are inadequate" and outlining the services the school's 14 guidance counselors provide. Chicago Tribune story right here. So, once again, there is a glaring gap between de Blasio’s capacity for making transformational promises and his track record in delivering the basics. New York Daily News editorial here. 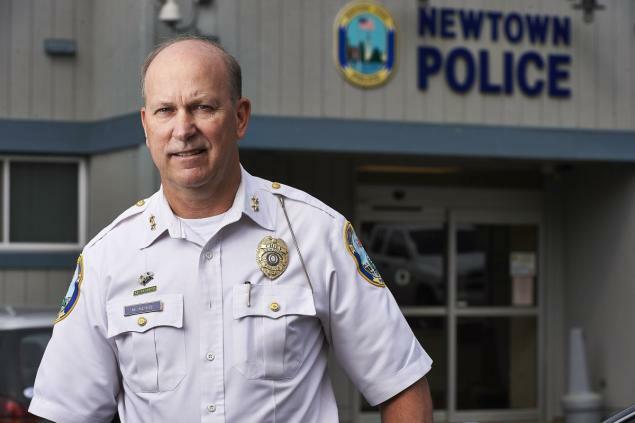 An "outside the box" initiative will move front and center in the fight against gun violence if Chief Kehoe with forty years of law enforcement experience has his way. 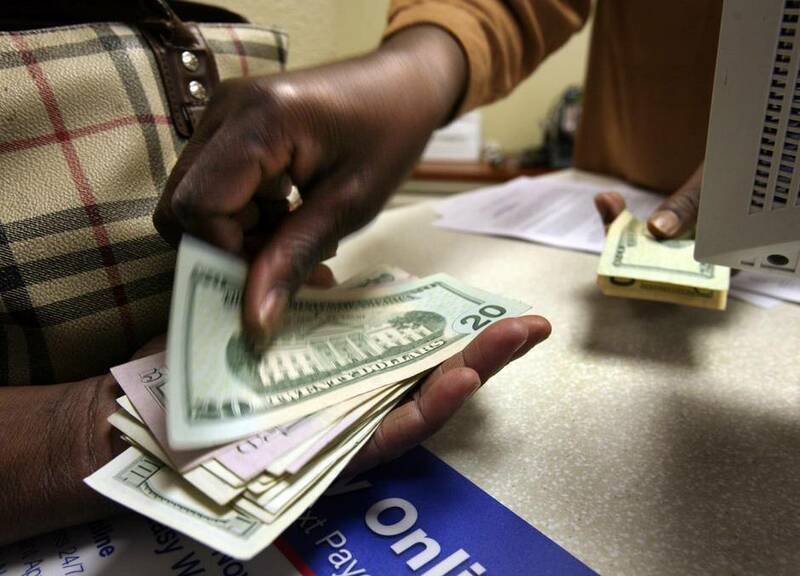 ​Atlanta Mayor Kasim Reed Steps Up. Story Here. 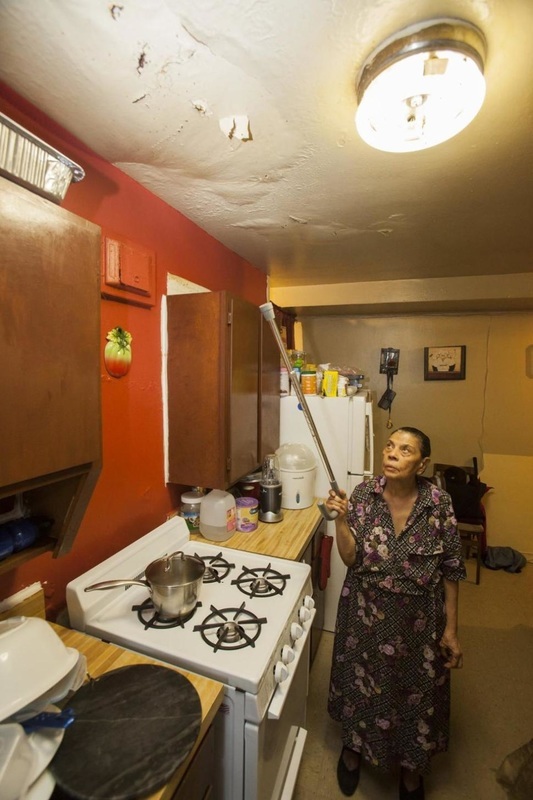 In agreeing to the consent decree, NYCHA vowed to aggressively eradicate mold across its 328 developments. 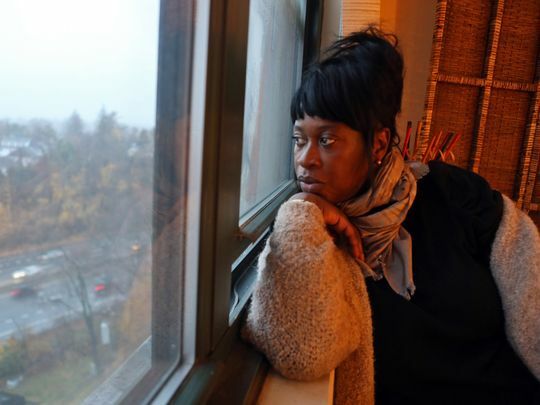 But the plaintiffs who filed the suit, the Metro Industrial Areas Foundation, a conglomerate of church groups pressing for housing reform in New York City, say in dozens of cases NYCHA only painted over the mold and it soon returned. The big story from the NY Daily News is here. 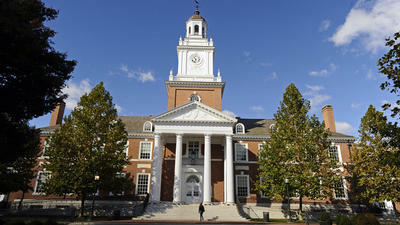 ​The Courthouse News Service story is here. 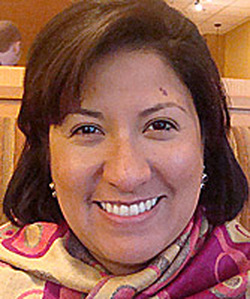 Josephine Lopez-Paul is Lead Organizer of Dallas Area Interfaith, part of the W/SWIAF Region of the Industrial Areas Foundation. 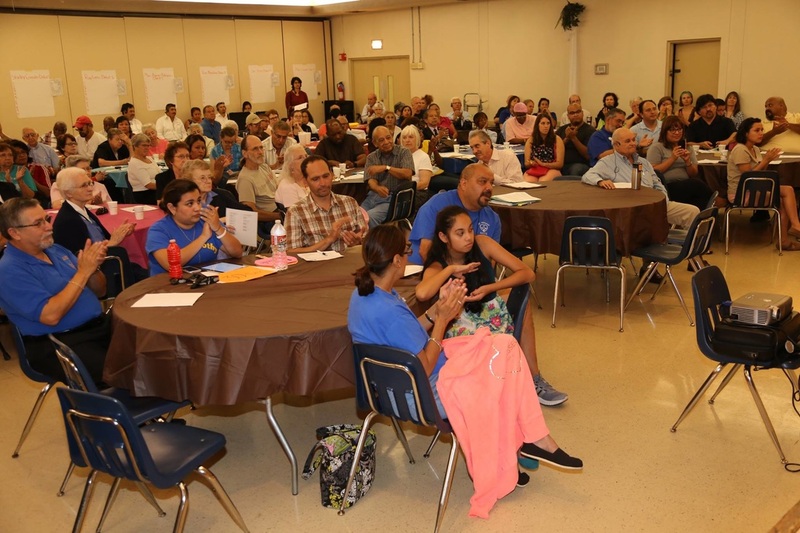 IAF organizations are playing a major role in bringing together community institutions - churches, synagogues, mosques, non-profits - with public actions opposing anti-Muslim hate groups while supporting the common good . 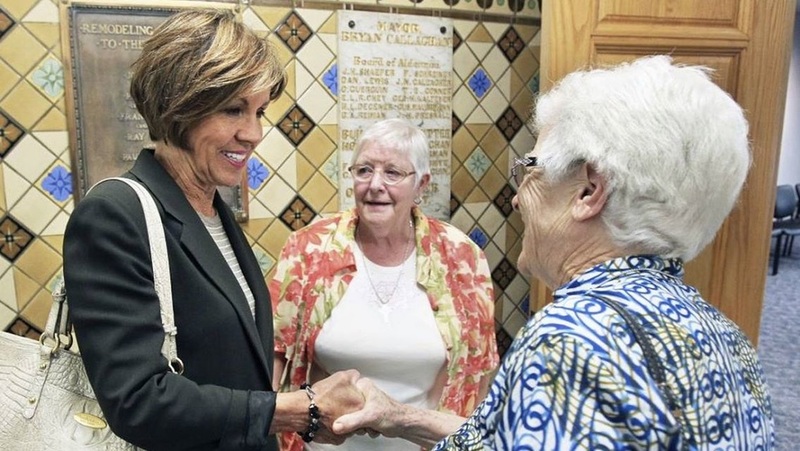 Working together toward a common cause is what really builds interfaith relations, according to Josephine Lopez Paul, Lead Organizer of the advocacy group Dallas Area Interfaith. "These protests and rallies come and go," Lopez-Paul told HuffPost. "But the slow patient work remains." 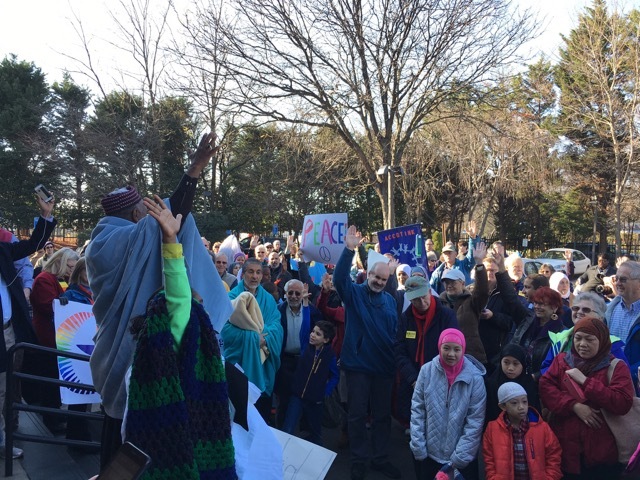 Photos are from the Solidarity press event & coat drive for Syrian Refugees that VOICE organized with VOICE member Dar Al-Hijrah Islamic Center. 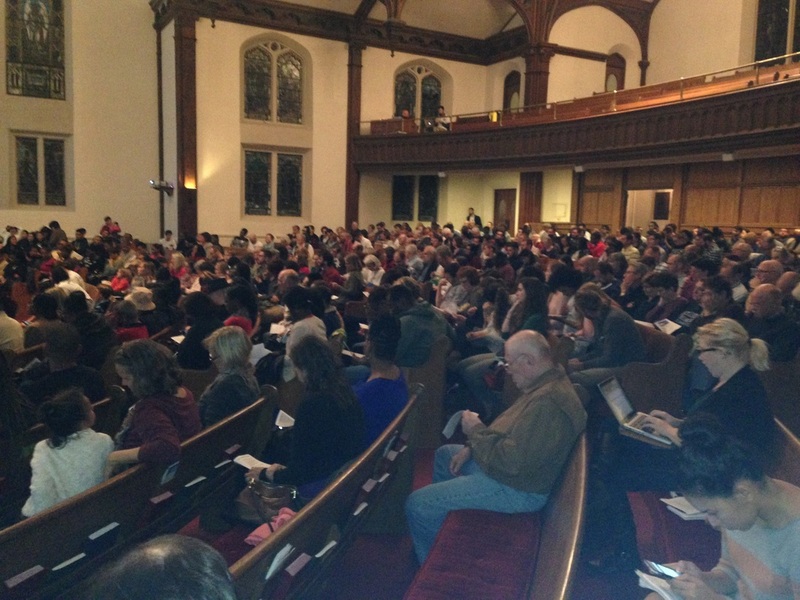 There were 150 VOICE leaders gathered, 50% Muslim and 50% Christian & Jewish. 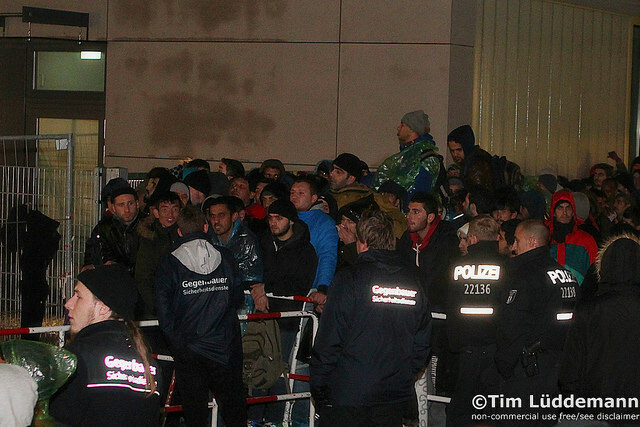 There was a great spirit as leaders marched and packed blankets & coats to ship to Syrian refugees. 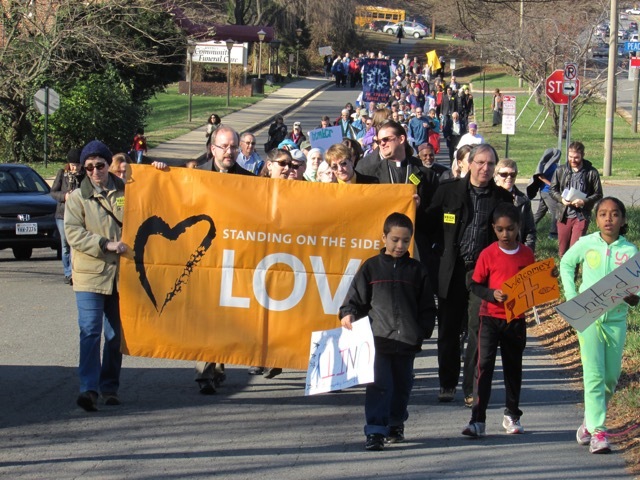 A powerful statement by Lutheran Pastor James K. Honig, DuPage County, Illinois, says it brilliantly: "Today I Stand With My Muslim Neighbors". Getting it right in Boston. Story from the Boston Globe up here. "An Unyielding Commitment To Social Justice, Civil Rights, And Workers' Rights"
So they prayed together, and they sang together. Hopeful the city can join together to end the hurt and become one Baltimore. "We're expressing our outrage and our grief around the current crisis in our city,” said BUILD Clergy Co-Chair, Rev. 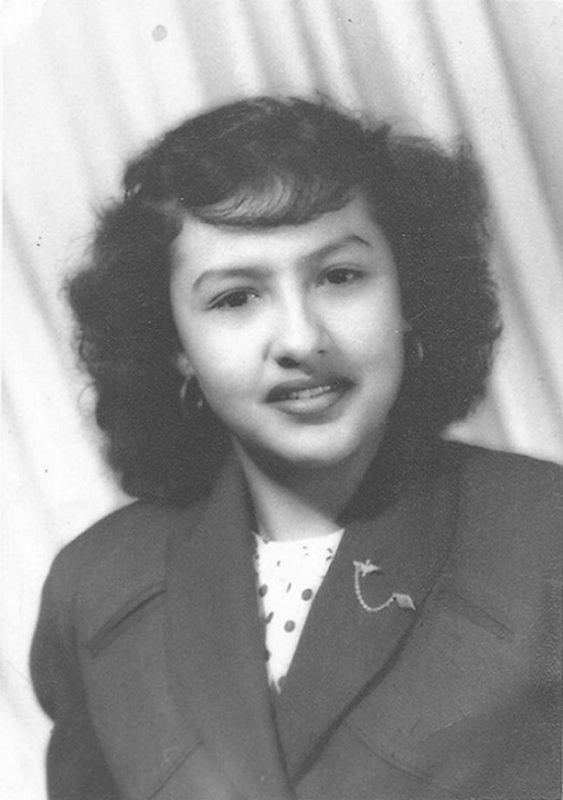 Glenna Huber. “We're moving that outrage and grief into hope to that we can act on creating a safer Baltimore for all residents." 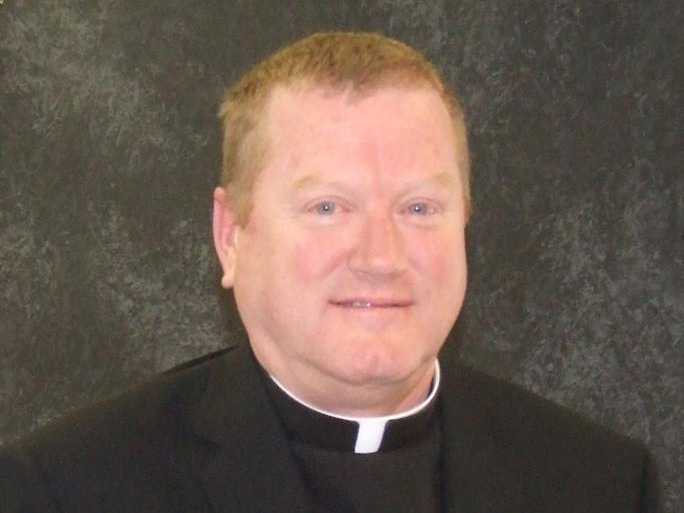 "It has to be rebuilt,” Father Joe Muth from Blessed Sacrament Church said. “And we feel that by working together we can make that rebuilding happen. 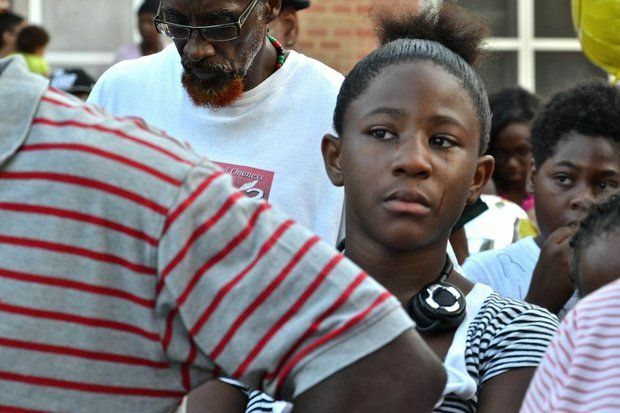 Grief, hope for Baltimore. BUILD leaders ABC News 2. 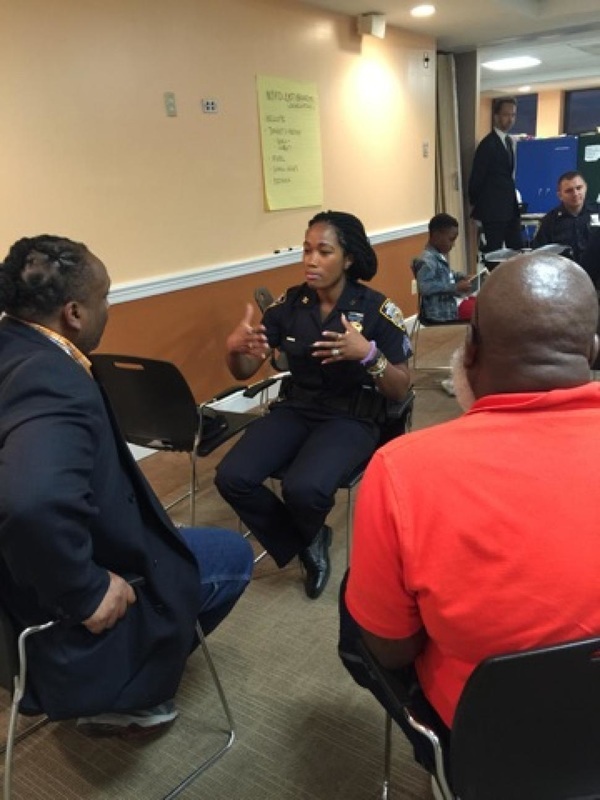 Last month, leaders of Dallas Area Interfaith and the Lumin Education Program organized a 60-person walk-through of 12 apartment complexes where they had heard complaints. Issues they documented included mold, hole-riddled walls, pests and health issues that they feared were tied to poor conditions. Both stories here: One in English from Dallas News. One in Spanish from Aldia Dallas. 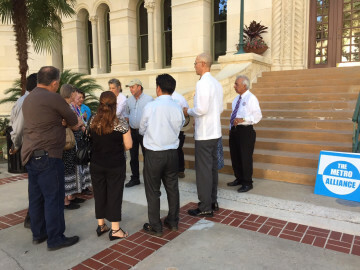 Over 100 members of Arlington churches, community groups, nonprofits and a volunteer task force of the office of state Rep. Chris Turner, D-Grand Priarie, organized by the North Texas Industrial Area Foundation, gathered outside City Hall to thank the council. “This is not the end. This is just the beginning,” Kelley said. 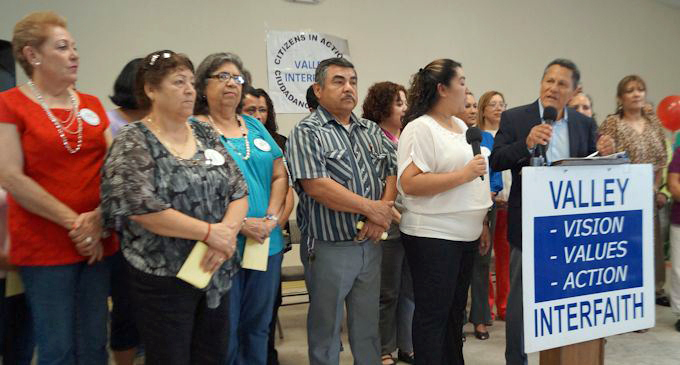 “We can now work together as a stronger community to do greater things to help our citizens.” Read more here. 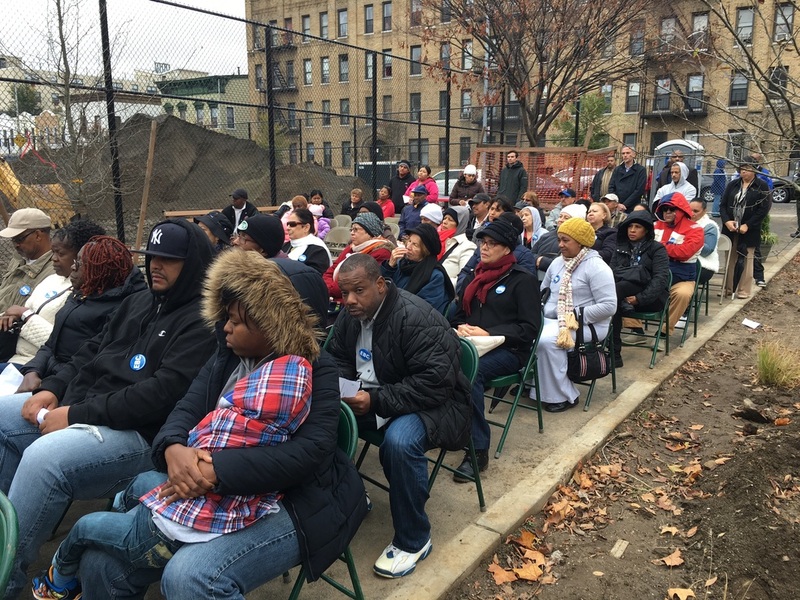 50 leaders from Saint Barbara's, Saint Joseph's, and Evergreen Baptist Church celebrated the groundbreaking at Heckscher Playground. 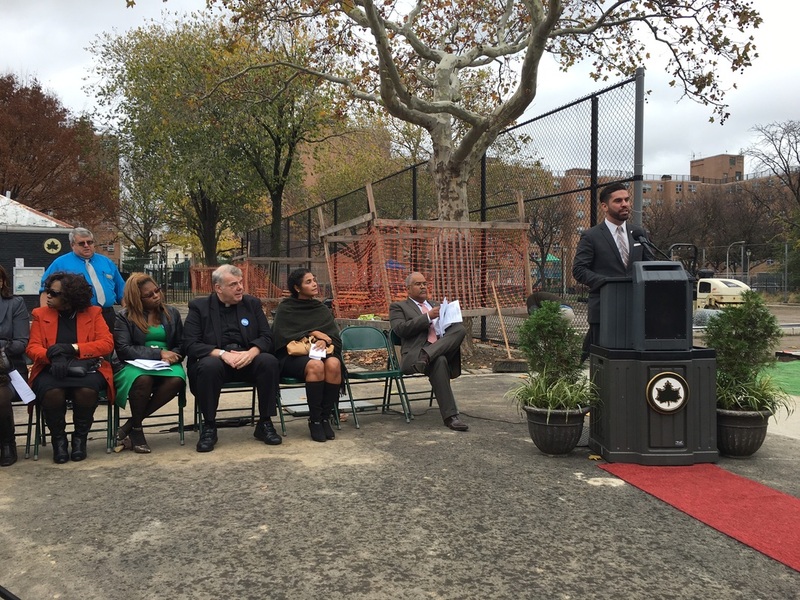 This is the beginning of a $3.65 million park renovation for which East Brooklyn Congregations won funding. The project is scheduled to be finished in October, 2016--two years and four months after funding was allocated, and 5 months ahead of Commissioner Silver's original commitment. 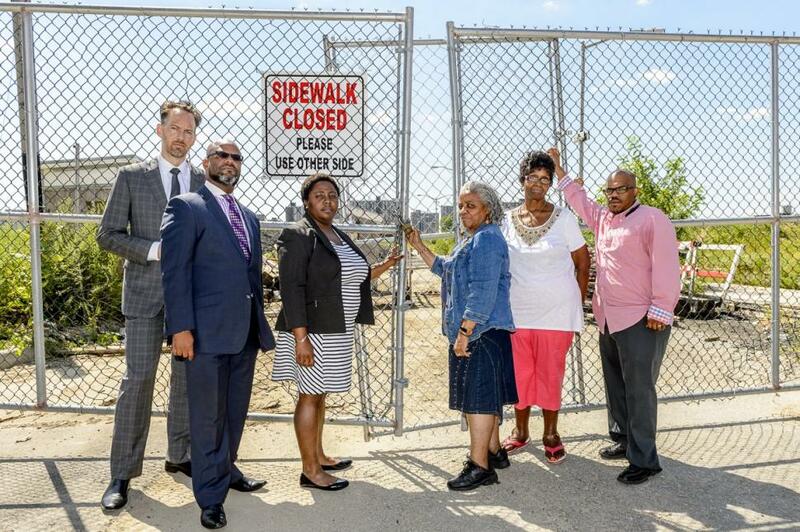 EBC leaders who fought to make this park a reality. There is something special about shovels going in the ground. Fr. Hoffman, began the ceremony with an opening prayer, and Adriane Williams ended by recognizing the audience for their hard work. Here's the News 12 story about the groundbreaking. WIN Taking Care Of Washington, D.C. 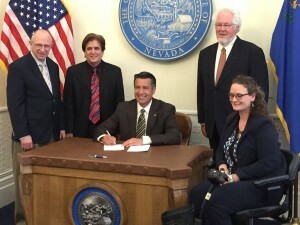 The latest from CO IAF leadership: "WE DID IT! 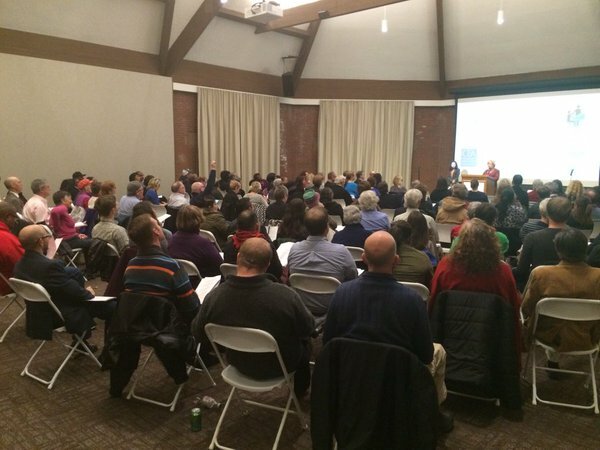 Last night we successfully launched the initial Sponsoring Committee of the Industrial Areas Foundation - Colorado (IAF CO), a new way of doing social change through the building of relationships in the Denver Metro area! Our goal was to raise $30,000. Thanks to a last minute anonymous offer to match every dollar pledged last night, we raised $118,000! THIS.IS.HUGE. for our community! Thanks to all of the institutional partners and individuals who joined us in the launching of IAF CO. We WILL be change agents in our community as we continue to be in deep relationship with each other. This is just the beginning." Creative use of video in BUILD's jobs campaign. Sets the context, tells the story, focuses the action. View it here. 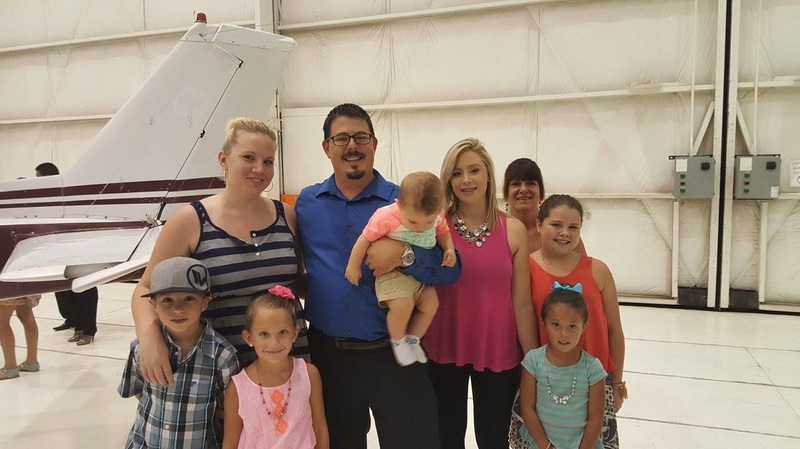 IAF in Louisiana delivers on a different kind of politics. Crossing race, crossing class, delivering on public business while denying candidates for Governor their comfort zone of personal attacks. Probing summary by Together Louisiana leaders here. 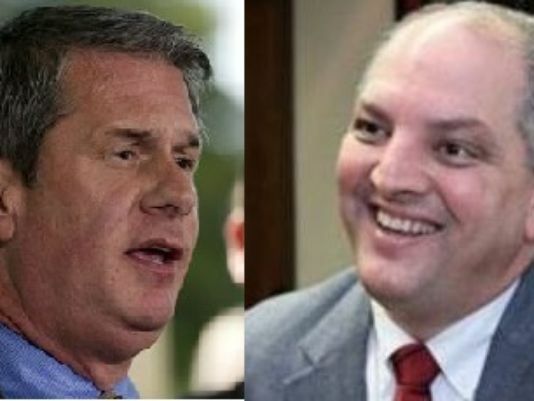 BATON ROUGE- Friday, the race for governor turned from a toe-to-toe between the candidates to a raw face-to-face with voters. 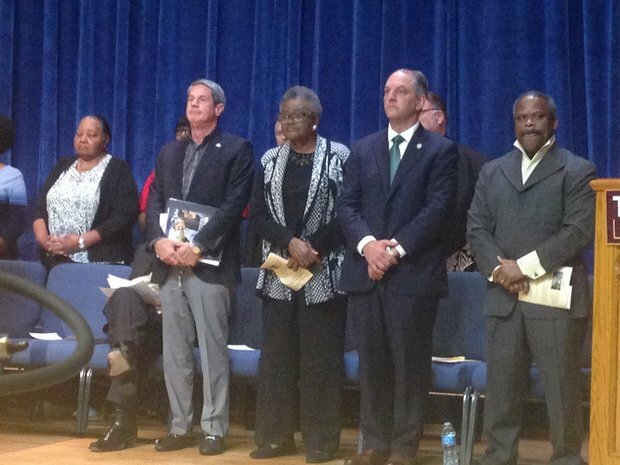 People from 40 different communities across Louisiana converged on Baton Rouge for the unconventional forum, hosted by Together Louisiana, an organization made up of various religious and civic organizations. Read/view more from WWLTV. Story with important detail and great pics from the Advocate here. 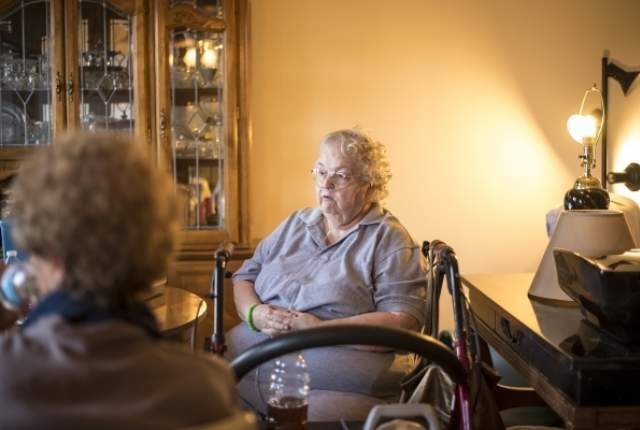 ​SF Gate story isolates Medicaid expansion issue here. Rodriguez said she's "terrified" about the possibility of the services being handed over to managed care organizations. She fears a disruption in care. "People making decisions about this need to hear these stories," Paulsen said of Rodriguez's story. Review Journal story here. 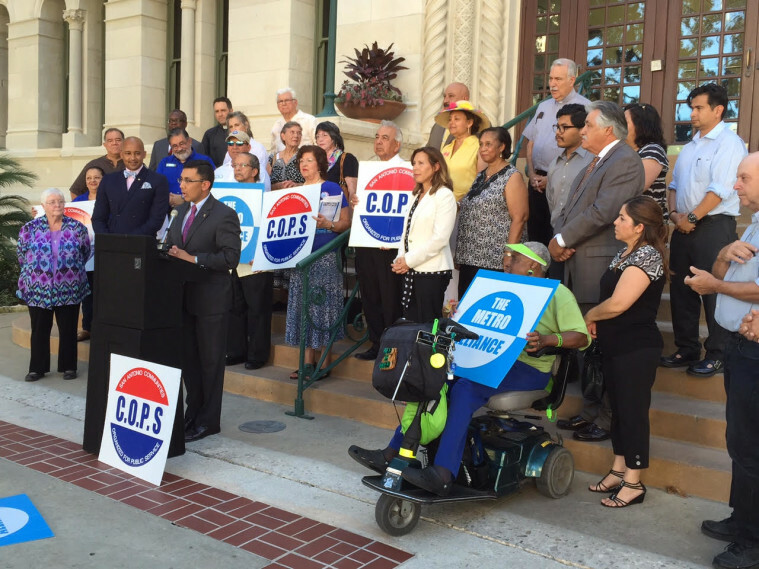 "But after a year of intense organizing and lobbying, Communities Organized for Public Service and the Metro Alliance (known as COPS/Metro) in September celebrated San Antonio's City Council vote that mandated a $13-an-hour minimum wage"
Here's the story. NPR: Read or listen. 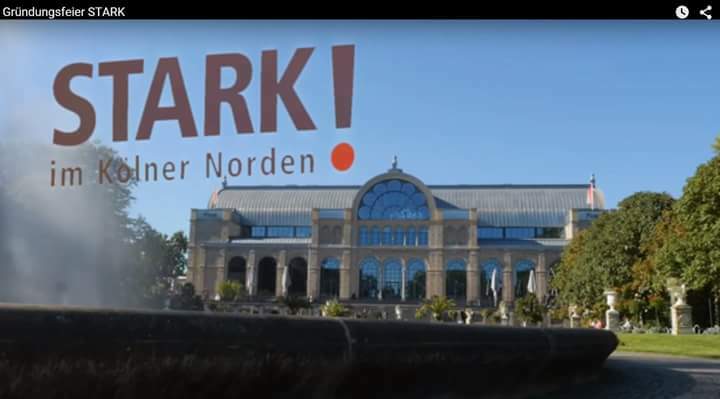 YouTube of the founding in Cologne here. We organized, door-knocked, had conversations at bus-stops, phone-banked, gave rides and ultimately increased voter turn-out by 24% and 12% in the two precincts, as compared to the previous comparable election in 2011. Go here for more. Now up Washington Post coverage here. 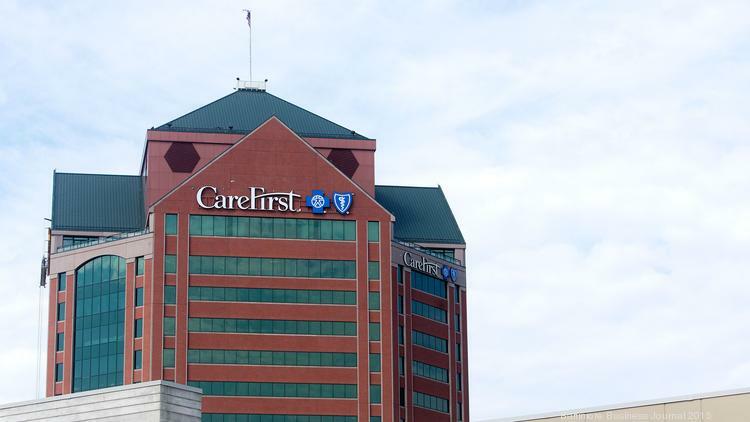 Baltimore community power organization BUILD is throwing its weight behind a hospital jobs creation proposal and dead-set on convincing the CEO of Maryland’s largest health insurer, CareFirst BlueCross BlueShield, to back it, too. But for BUILD, the hospital jobs proposal isn’t just about jobs — it’s about uniting Baltimore and about corporate leadership, said the Rev. Andrew Foster Connors, BUILD’s clergy co-chair. 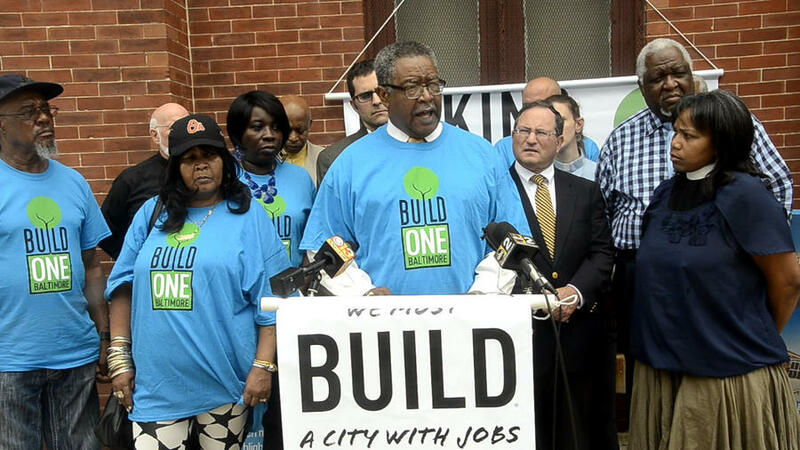 BUILD is a group of community organizers and interfaith leaders who have pushed hard for job creation in Baltimore. 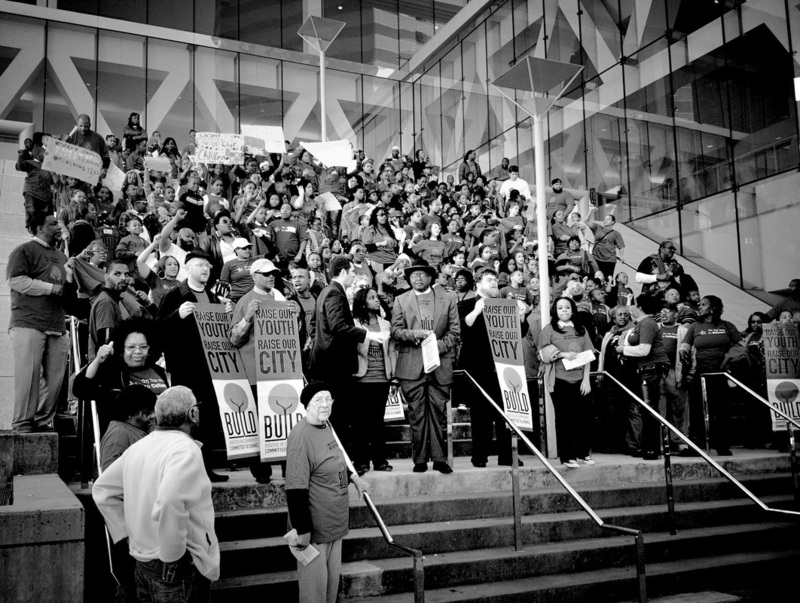 Since the city's unrest in April, the group has amplified its call for private employers to revise hiring practices to be more accepting of ex-offenders and create jobs that are attainable by unemployed city residents. The Baltimore Business Journal story here. The House of Lebanon. 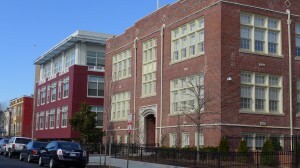 An inspiring story about affordable housing, a church and a powerful citizen partnership in Washington, DC. Here. 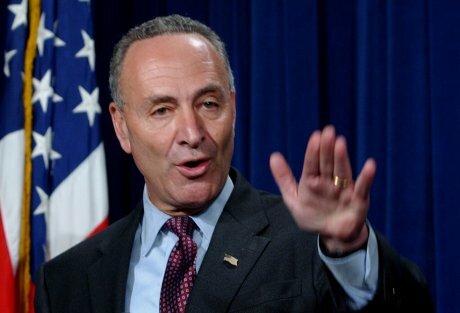 Senator Chuck Schumer joins up with Do Not Stand Idly By gun violence initiative. Here. 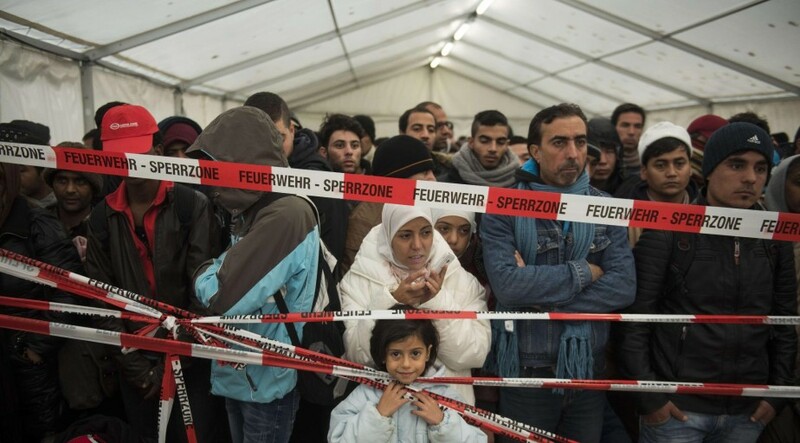 COPS/Metro weighs in on refugee crisis with key allies. 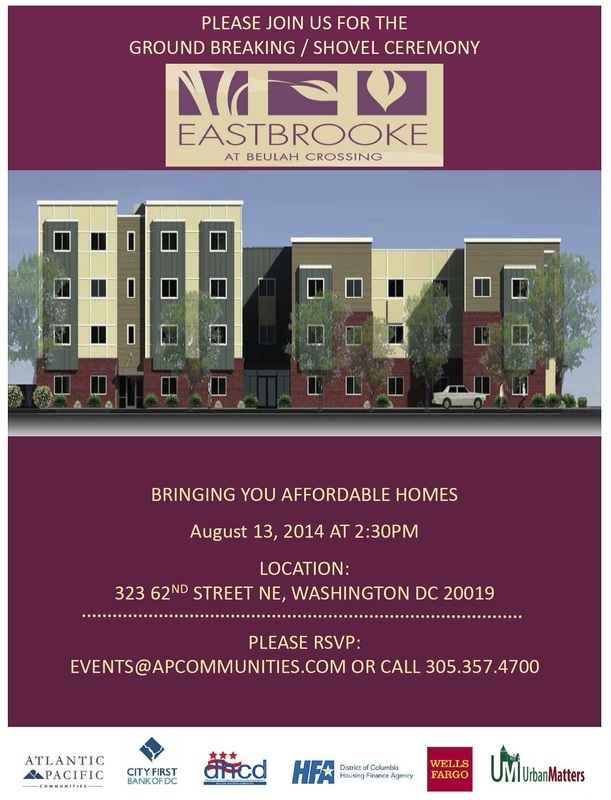 drives affordable housing downtown. News and Observer story here. 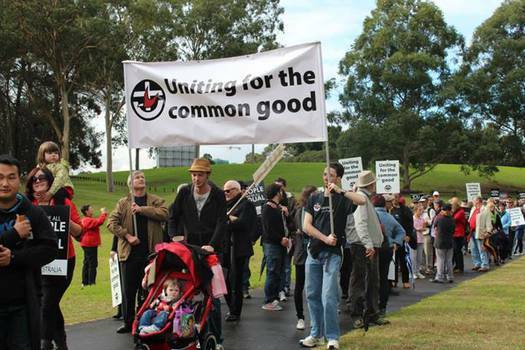 PCIC takes on the anti government types in broad alliance with labor, faith, non-profit. Big bond vote tomorrow. AZ Star comment here. Want to know who's driving change in Baltimore? ABC 2 News vid coverage of the BUILD action on voting and key issues is up here. "We're clear that there are two Baltimore’s existing right now, so we are trying to erase that coexist and have one Baltimore,” said Rev. Glenna Huber, Clergy Co-Chair of BUILD. One Baltimore looks like a city that's a safe city, that has jobs, and a city that has youth opportunities, and in order for one Baltimore to happen, we have to build it." 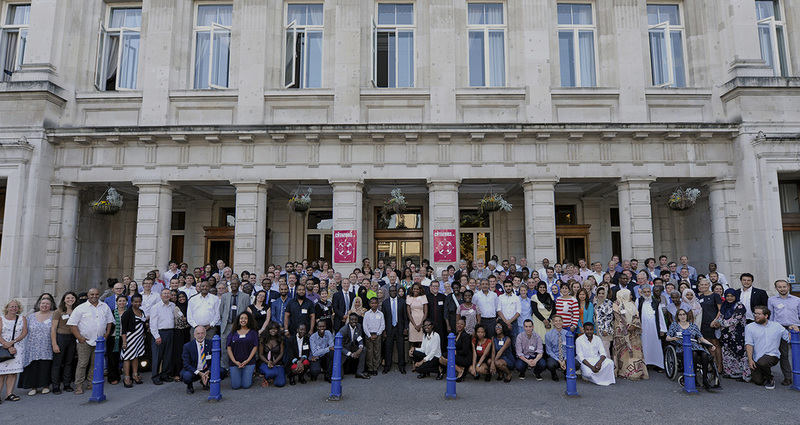 So the group BUILD is celebrating, challenging and changing the way people think about the city. They're starting with the upcoming election. 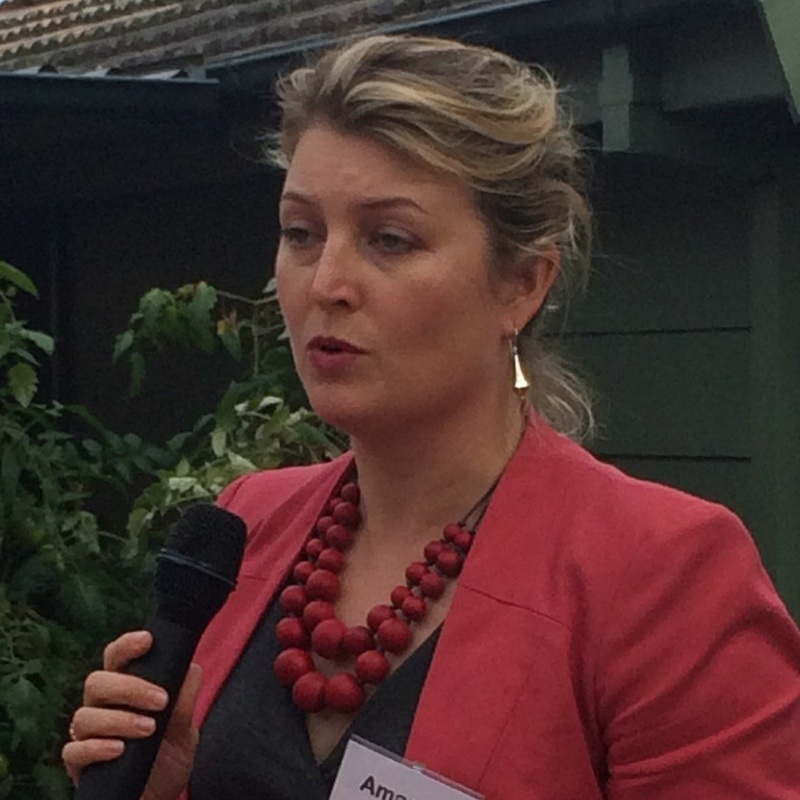 Amanda Tattersall is the founding organizer of the Sydney Alliance (IAF) in Sydney, Australia. She reflects on how to localize, energize and act on climate issues. One tip for building a diverse movement is learning the art of the “relational meeting”, where people take the time to understand what makes each other tick. 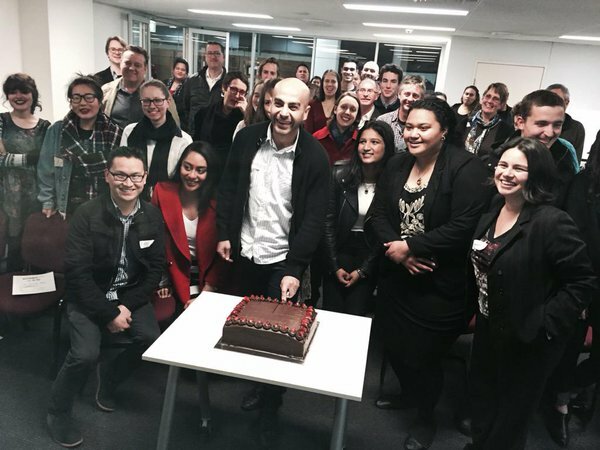 Coalitions that use community organising, like the Sydney Alliance (of which I am the founding director), tend to train their leaders to build relationships before working on issues. 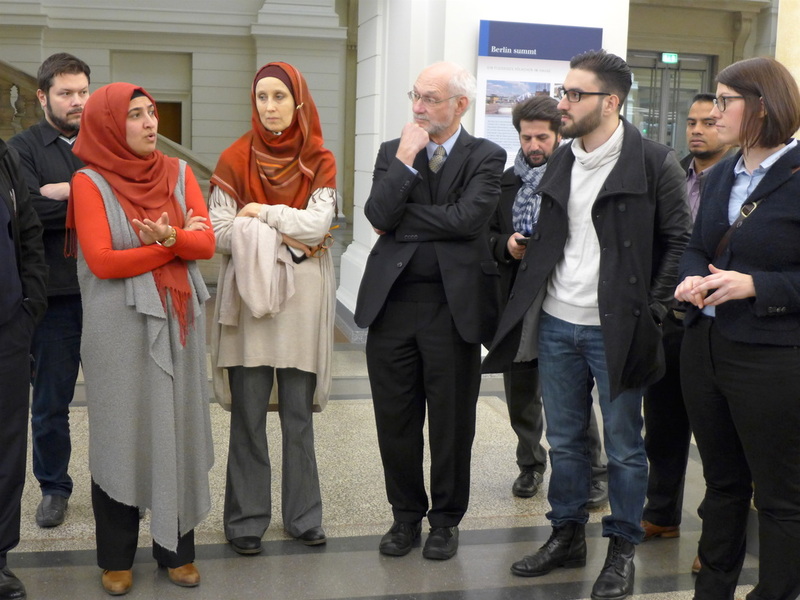 As a consequence, they have cultivated relationships between traditional strangers – from the Catholic Church to the Cancer Council, and from the Arab Council to the nurses' union. Read the entire, thought provoking piece here. when you see the whole city running as well...." Go here. 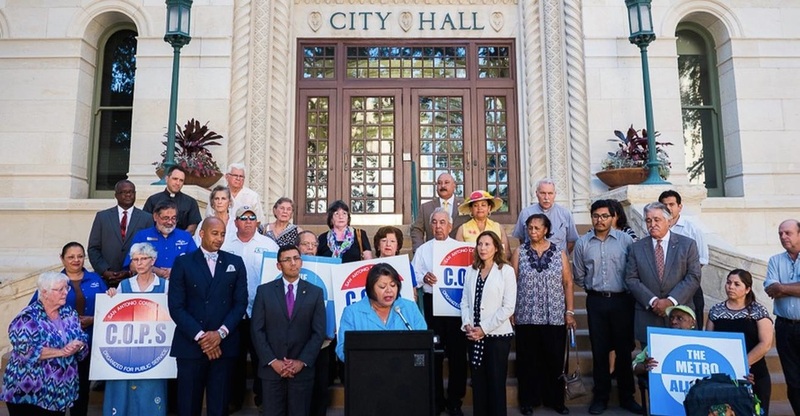 PCIC leaders wanted to assure that the bond that would help move people out of poverty and guarantee that our most vulnerable families benefit from a big county investment. 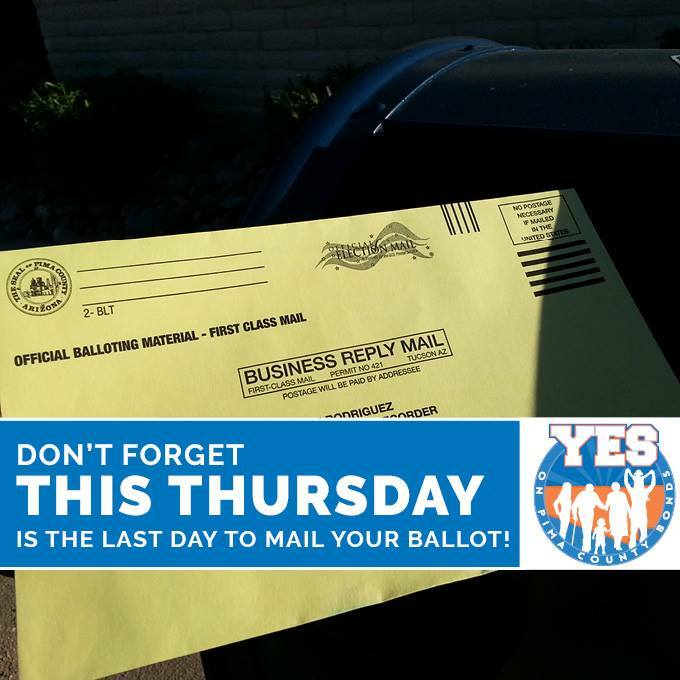 A "Yes" vote on the bond means: a building for JobPath, a program that has moved 1,400 families through training and out of poverty into living wage jobs; a food bank for Sahuarita; money for affordable housing and neighborhood reinvestment for some of our most stressed neighborhoods; and funds for libraries, parks, bike lanes, open space and access for all to our number one tourist attraction — the Sonoran Desert. 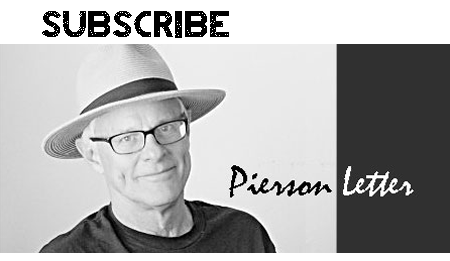 Opinion piece by PCIC leaders in the Arizona Daily Star right here. "According to a popular opinion, the National Rifle Association is the primary obstacle to gun safety. 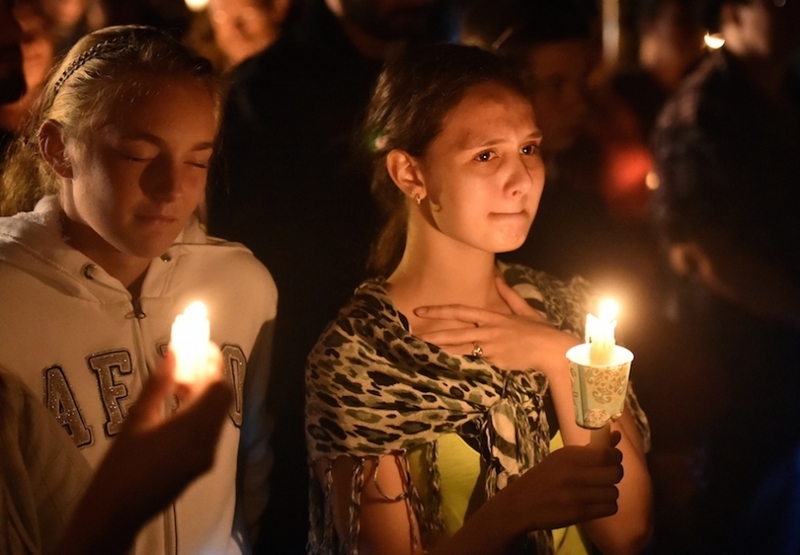 Progress is impossible because of NRA’s intransigent extremism, this opinion says. Even President Barack Obama, speaking in the wake of the Umpqua Community College massacre, implicitly endorsed this opinion of the NRA. He asked responsible gun owners to question the organization. The Industrial Areas Foundation is not buying this popular analysis. The NRA is merely a front for gun manufacturers, says IAF, a 75-year old network of community organizations. The real obstacle is about seven major companies that carelessly market unsafe consumer products. 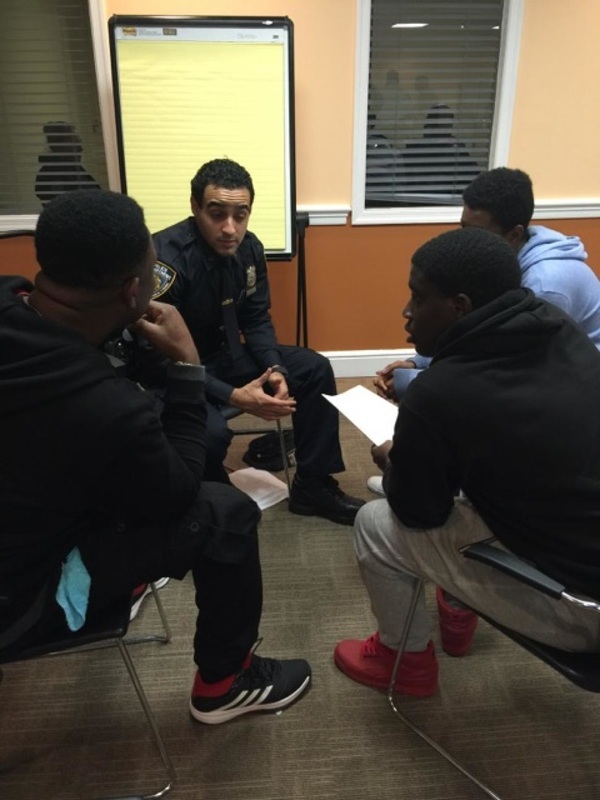 Their corporate behavior contributes to violence on city streets and in schools." Read the whole piece here_. 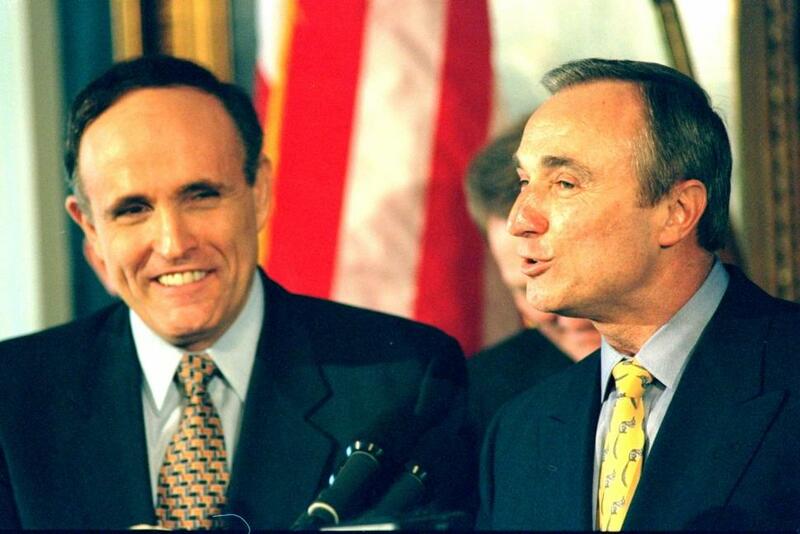 On Friday in New York City, more than 100 religious and civic leaders of the Metro Industrial Areas Foundation (Metro IAF) faith and citizens’ organizing network will join Senator Chuck Schumer to call on the federal government to use its power, as the nation’s largest gun purchaser, to push gun manufacturers to take responsibility for curbing gun deaths in America. 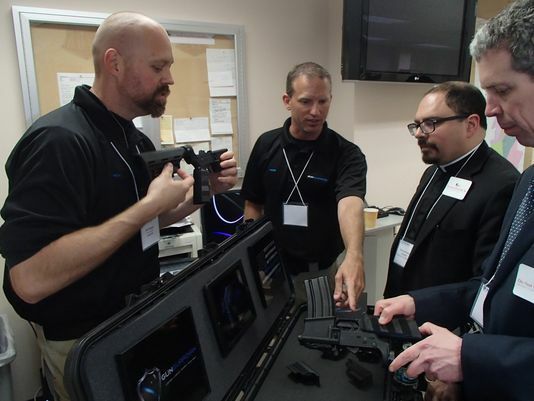 Sen. Schumer and Metro IAF will describe what federal agencies can do – without waiting for Congress – to encourage “smart-gun” technology and responsible gun sales by manufacturers. Metro IAF press release here. Neither political party has a clue how to address economic inequality in specific, immediate concrete ways. COPS/Metro IAF does. 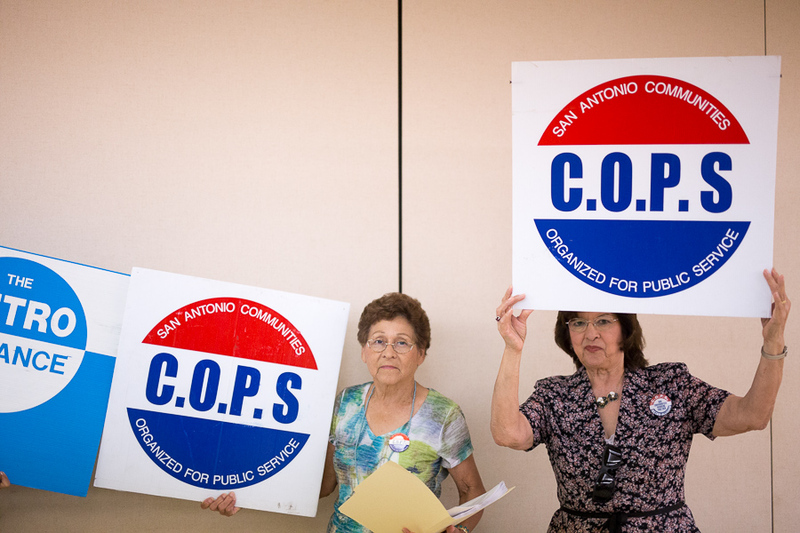 Leaders hounded the City Council of San Antonio throughout the budget hearings, sending dozens of leaders to ensure Council members were aware of COPS / Metro's eyes on them at all times. 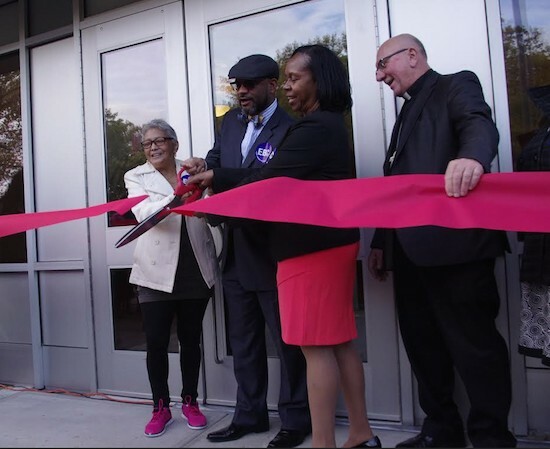 When the City held budget hearings at neighborhood libraries and community centers, leaders infiltrated them, stirring up conversations about the price of college education and the need for affordable and debt-free job training. As a result, the City dramatically expanded access to workforce development with $700 thousand additional dollars. ​Follow the thread with W/SWIAF here. We, the taxpayers, buy more guns and ammunition than any other single purchaser. Law enforcement and the military made up 40 percent of the 2012 market for guns and ammunition. We, the people, keep the major firearms companies in business with bulk purchasing contracts, tax breaks and other subsidies. Indeed, the public sector is not just important to the firearm industry – we made them what they are. Since the 1850s, when American law enforcement first began carrying sidearms, gun companies have learned Samuel Colt’s lesson in marketing new weapons – sell a gun to an individual, you’ve sold one gun, but sell a gun to a police department, and you’ve armed an entire village. That’s because if a gun is good enough for officers, it’s good enough for most gun owners. This business model mastered by Colt, was repeated by Smith and Wesson and then Glock. Indeed, Gaston Glock, an entrepreneur who knew little about guns, designed his first gun in response to the Austrian military’s RFP for a new hand gun. Glock Inc. debuted this revolutionary pistol by marketing to American law enforcement, and it is now the most popular sidearm for law enforcement and in general. Yet, while an Austrian military request inspired a revolution in modern handguns here, the largest sidearm contract in U.S. history is moving forward with no consideration of safety practices. 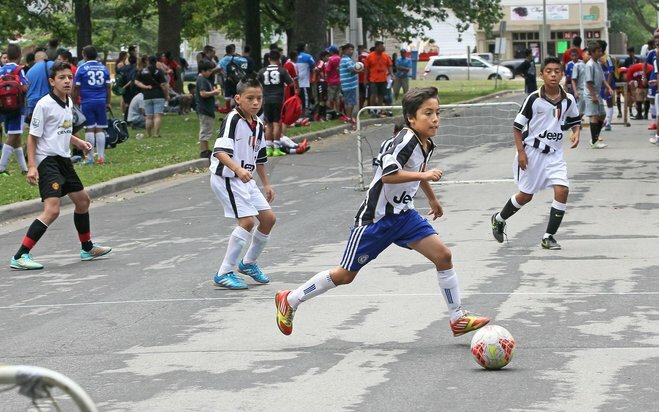 From the Journal News by Rev Heriberto Contreras and Rev Gawain de Leeuw, Leaders, West Chester United. Go here for incisive opinion piece. The IAF wants Obama to put pressure on gun manufacturers, and should have the clout to do so since the US government is a major purchaser of firearms. 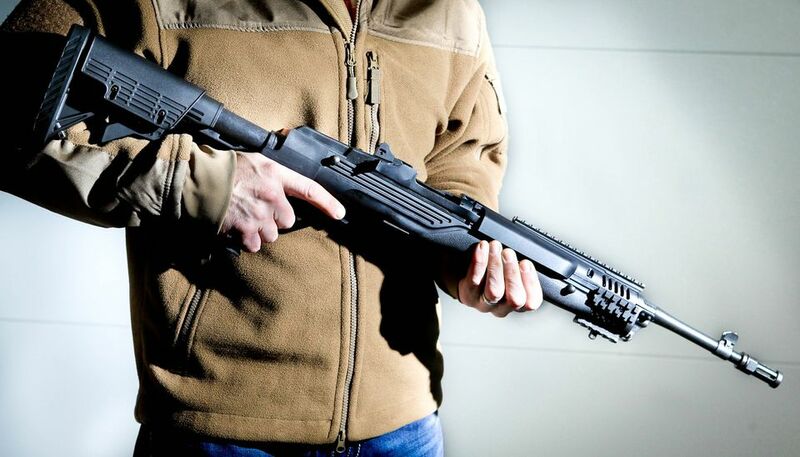 The IAF wants the gunmakers to self-police the distribution and sale of their guns sold by dealers who consistently sell guns used in crimes, and they want firearms manufacturers to develop new, safer "smart gun" technologies. 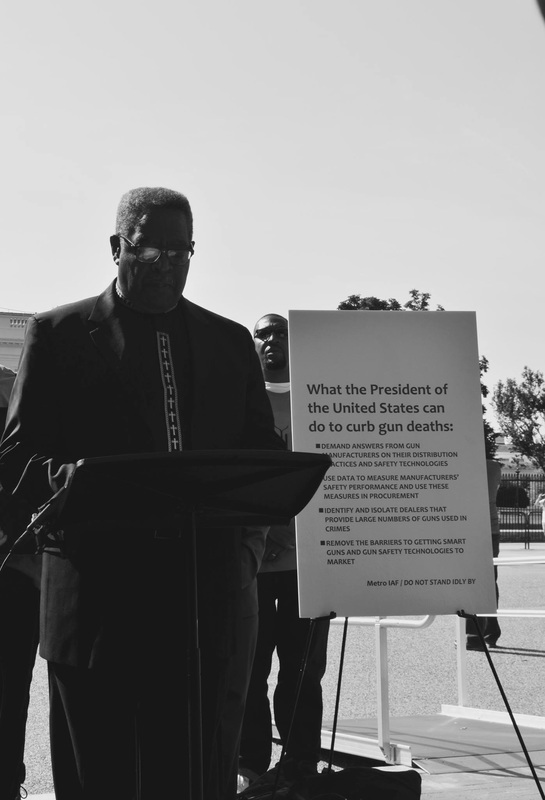 Bishop Douglas Miles: “We have traveled here from across the nation to challenge you to stop whining about the power you don’t have, and start acting with the power you do have,” said Bishop Douglas Miles, at a news conference in Washington Thursday. Bishop Miles is a leader in the Industrial Areas Foundation's (IAF) national network of interfaith, interracial community organizations. 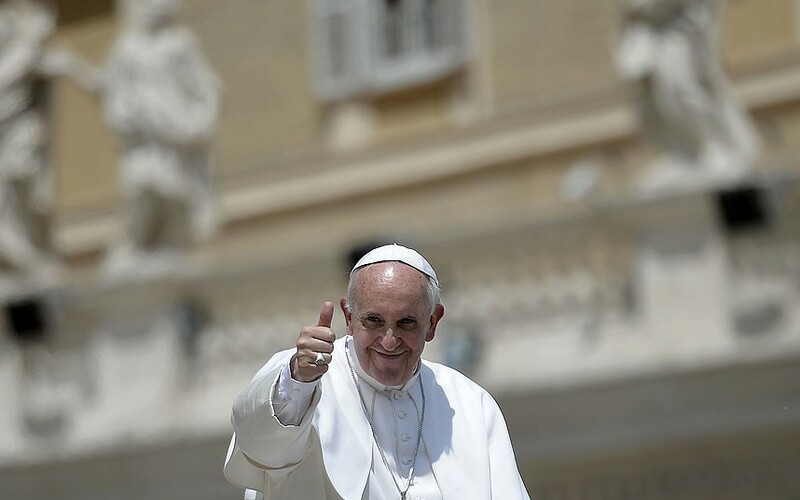 Story in Christian Science Monitor. "Do Not Stand Idly By"
​The Action Campaign Detailed Here! 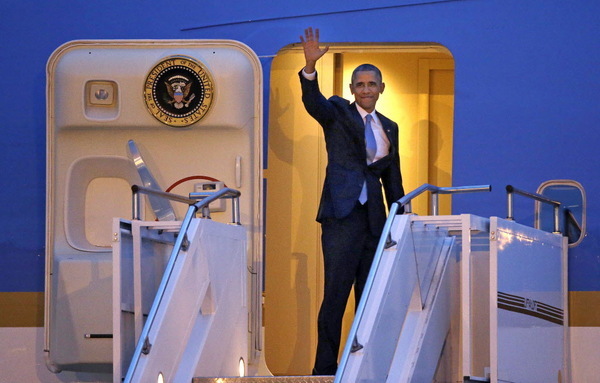 What President Obama can and should do. Metro IAF action proposal hits a nerve. ​Wall Street Journal coverage here. North Jersey story with Rabbi Mosbacher here. 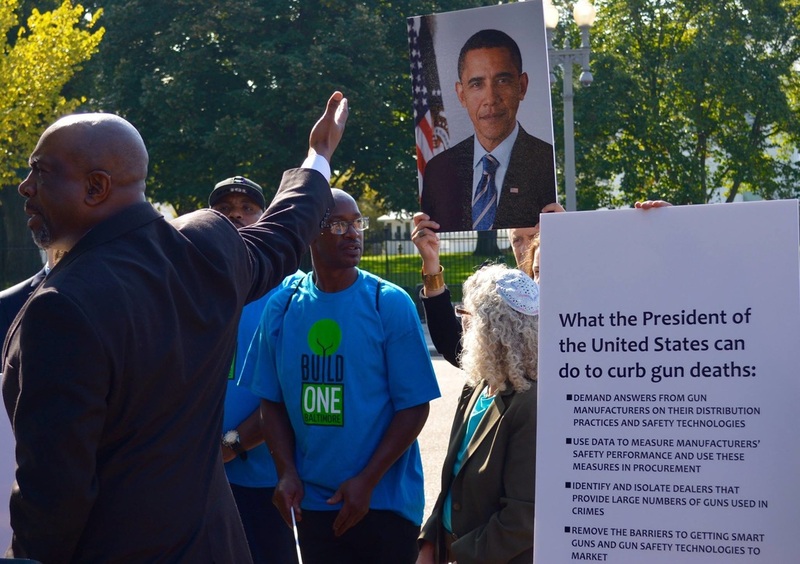 As is their way, the community organizers and activists at the Industrial Areas Foundation (IAF) are pushing the president to use the federal government’s purchasing power to promote safer guns. 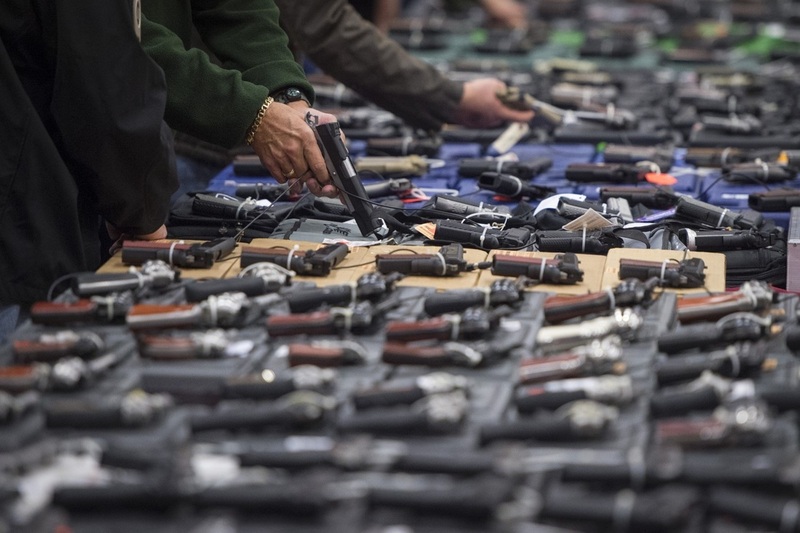 To do business with the government, companies would have to be willing to “remove the barriers to getting smart guns and gun safety technologies to market” and cooperate with law enforcement to “identify and isolate dealers that provide large numbers of guns used in crimes.” WaPo opinion piece here. Has IAF Mastered the Art of Collaboration? 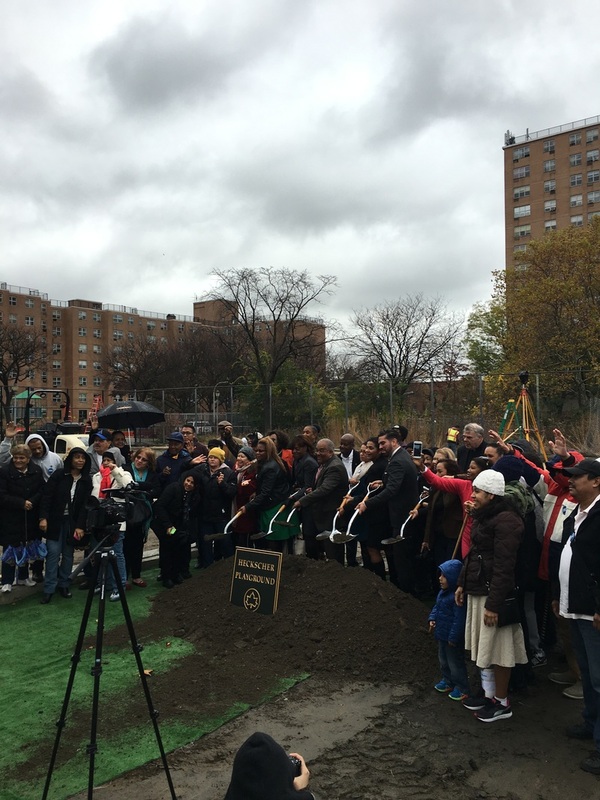 ​Washington Interfaith Network (WIN) partnership with Urban Matters breaks ground on 39 affordable apartment homes. 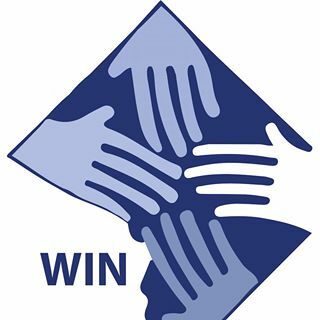 WIN addresses a huge problem - lack of affordable housing in DC - breaks it down, leverages power with top drawer development partner makes affordable homes happen. PCIC with non profit arm PCICEO deliver big on voter registration with partners including Pima Community College. 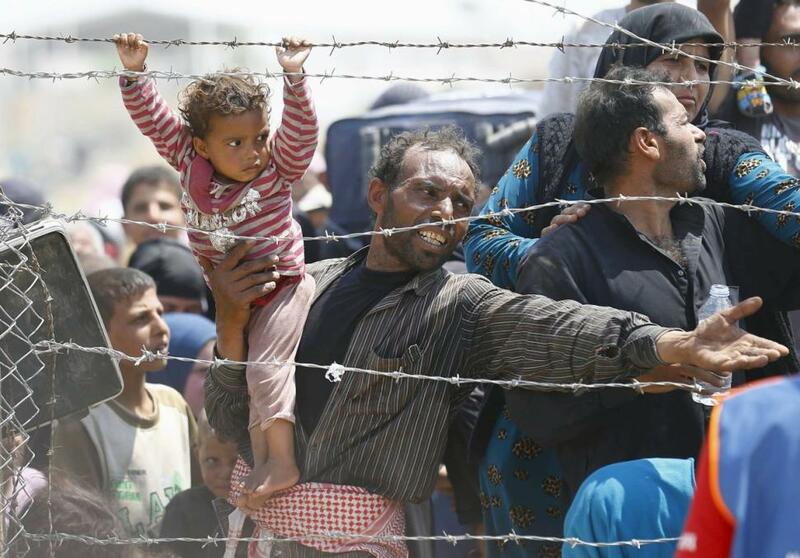 Is this the kind of action Pope Francis is calling for? 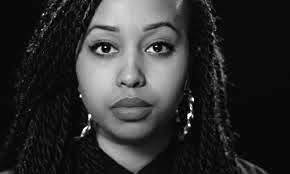 Commonweal Magazine tells this important story of victimization and powerful community response. 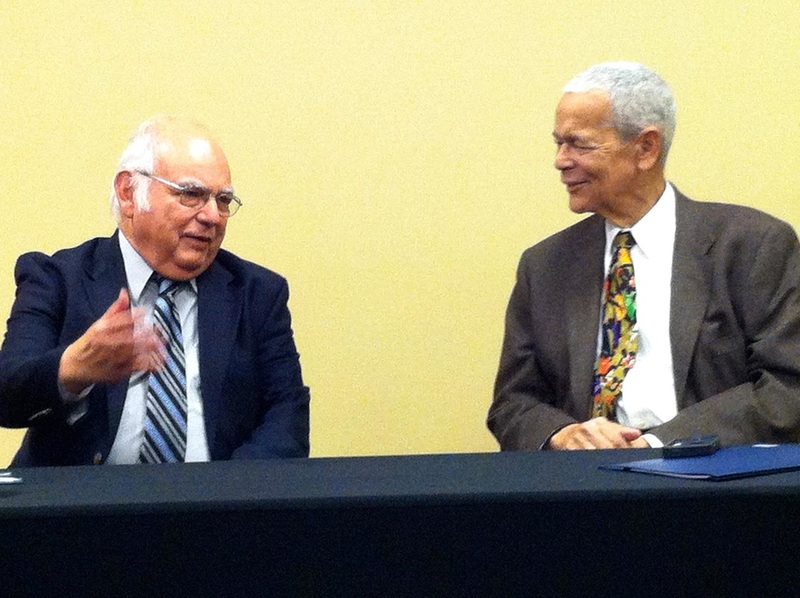 Religious and secular leaders set divisions aside to serve children and the common good. Right here. 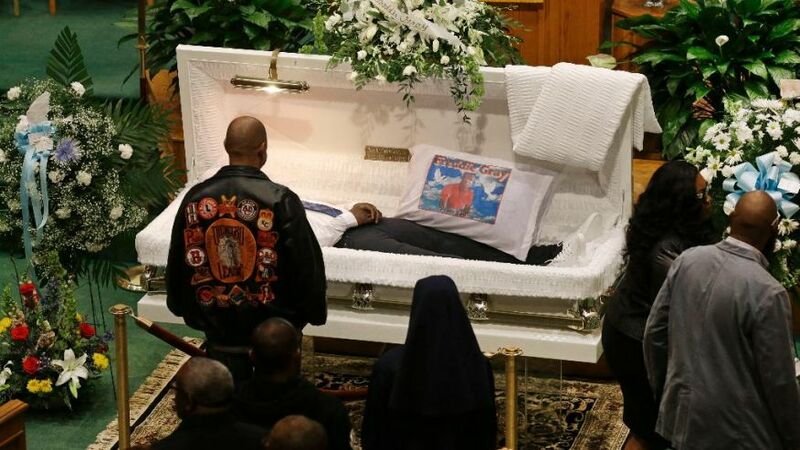 How do we protect innocent victims like Major Howard and Ramon Burnett? Major, 3, died Wednesday. He was sitting in a parked car Tuesday night when he was shot in the chest. Ramon -- nickname "Dink" -- was a 5-year-old who was doing what all kids do on the first day of a Labor Day weekend: Having fun. 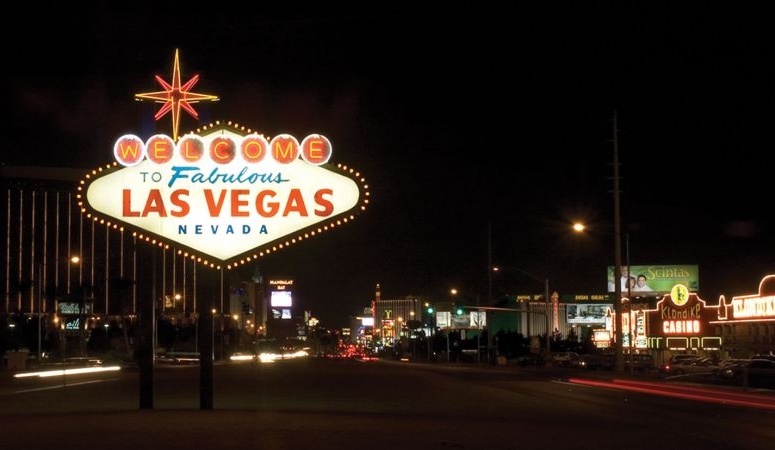 Members of the Metro Industrial Areas Foundation have gotten 76 public-sector gun buyers, the biggest customers of arms manufacturers, to push multinational conglomerates such as SIG Sauer and Glock to set tighter standards for selecting the dealers who sell their weapons. Raising 12 children didn’t stop Dominga G. Siller from digging in her heels to improve her community. If anything, wanting a better environment in which to raise her family provided the energy and drive to attend meetings, organize community gatherings and face down politicians to hold them to their promises, if necessary. Seeing then-Gov. Rick Perry while at the Capitol in Austin with a group of activists, Siller made sure he noticed their group. 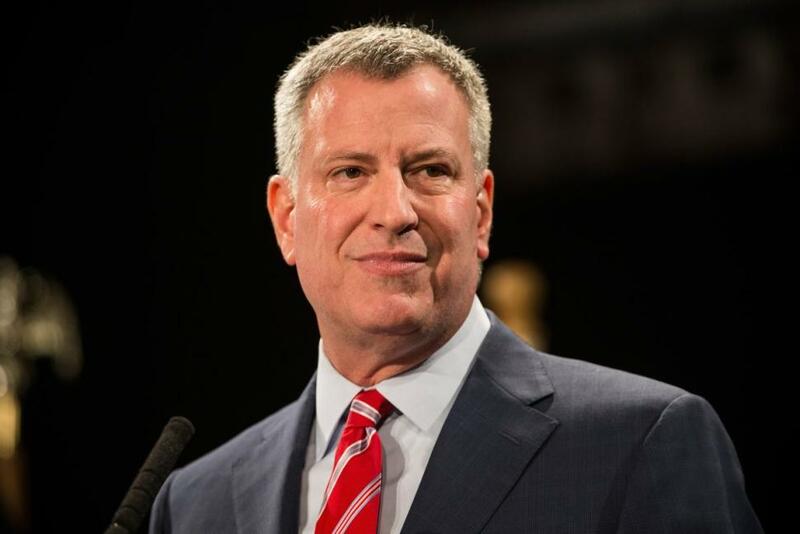 NY Daily News story rips New York Mayor for failure to act on major development opportunity. 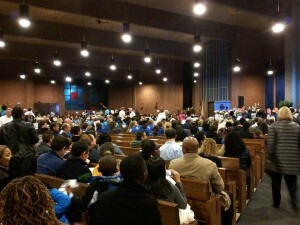 City bureaucrats play cat and mouse excuse game with East Brooklyn Congregations (EBC) broad based citizens organization. 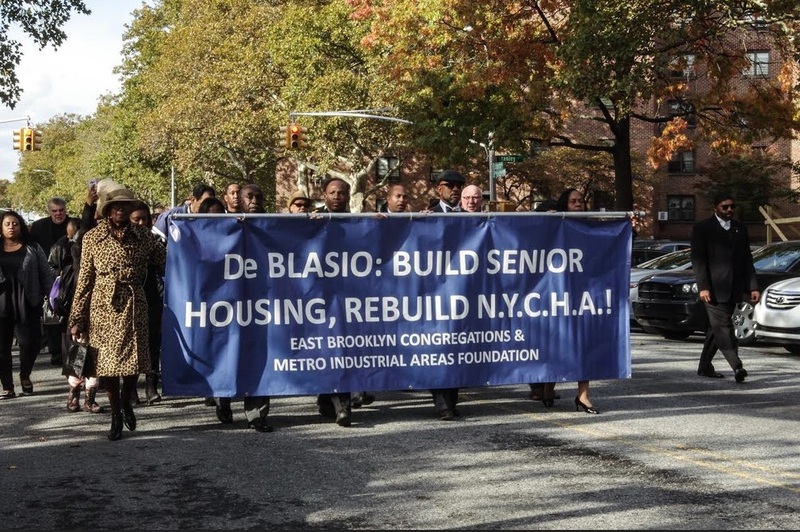 East Brooklyn Congregations (EBC) leaders call out Mayor de Blasio: Act now on your campaign pledge! 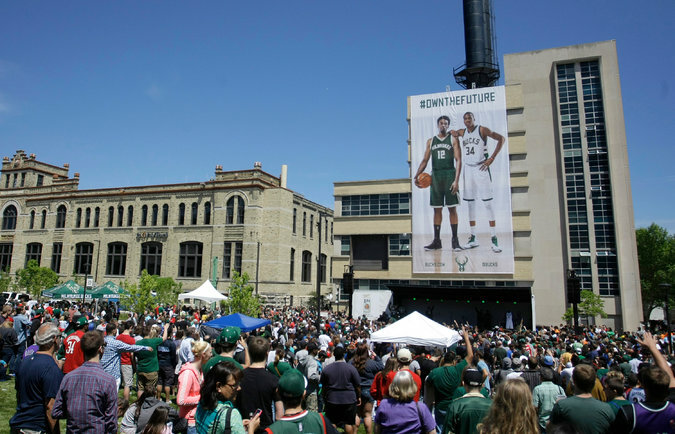 Milwaukee Journal Sentinel reports the story here. Updated story with more detail here. The deal is consummated. 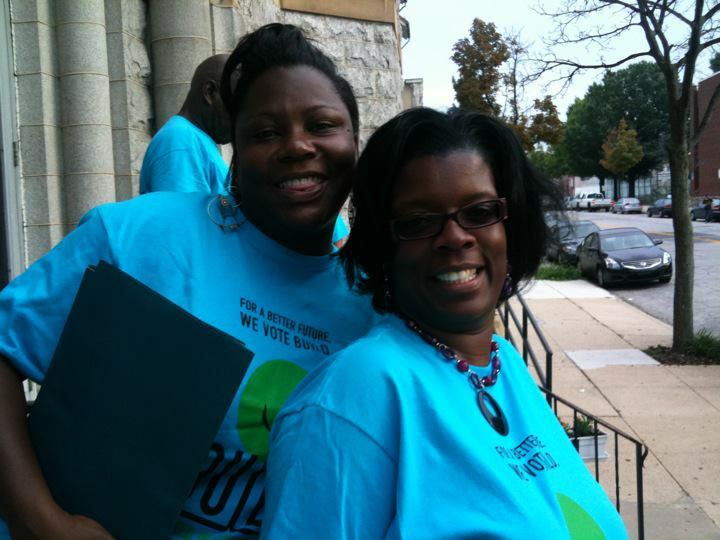 Picture at left is Common Ground/IAF Lead Organizer Keisha Krumm. Texas Observer story captures the action here. 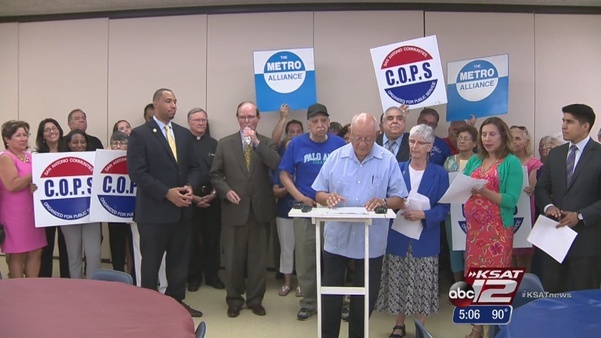 "Two groups in San Antonio, Communities Organized for Public Service and the Metro Alliance or COPS/Metro and the local chapter of the Service Employees International Union (SEIU), have been lobbying behind the scenes for the higher wages." “We don’t think that public sector employees should be on public assistance,” said Jorge Montiel, a lead organizer with COPS/Metro, a coalition of congregations, schools and unions that has been lobbying both county and city government officials to increase wages for its employees for more than a year. 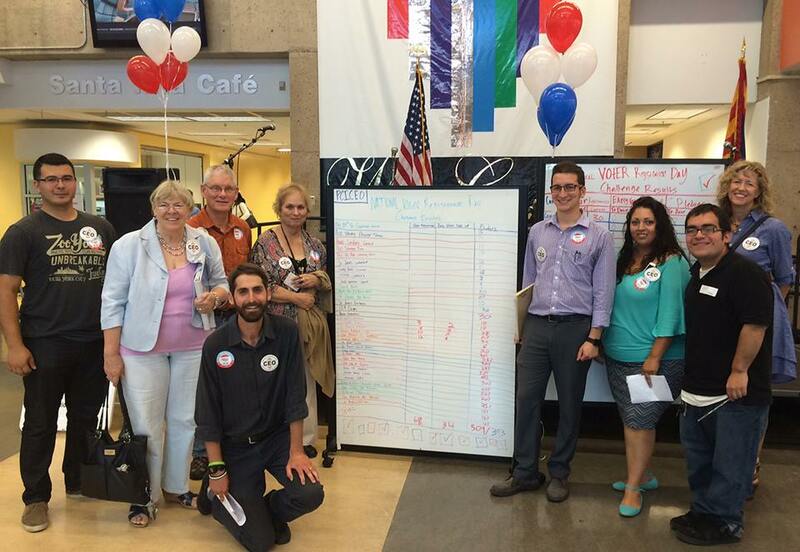 The group has already helped win higher wages at Alamo Colleges, a community college system. "After giving a speech, Common Ground picked up trash from inside the house, which endured two fires in the past months, put the trash in boxes and delivered it to Edens' Schlitz Park office. Common Ground said Edens owns Nationstar, while Hoffman said Edens is chairman of the board of directors." Milwaukee Biz Journal story here. 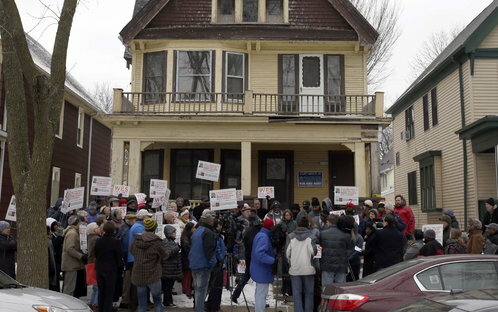 Common Ground members claim Nationstar owns nearly 300 foreclosed properties in the city, including one in Sherman Park. 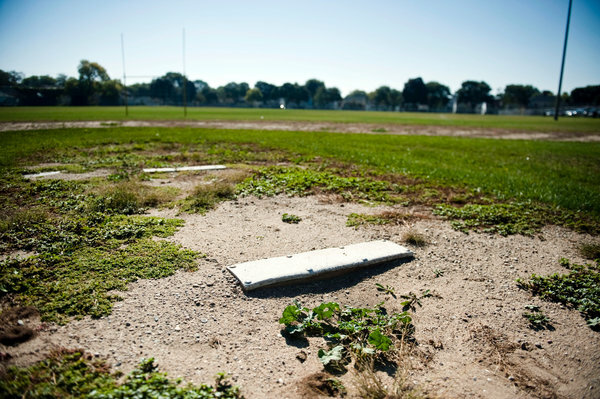 Common Ground leaders said they would rather see public money pay to restore blighted parks, fields and courts, instead of the new downtown arena." Scripps Media story here. From Michael Powell's story in the New York Times. 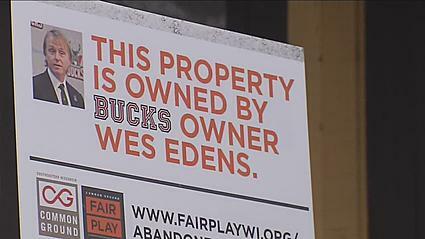 Fat Cat Backers of Taxpayer Funded Stadium Win One; But Common Ground/IAF Shifts Ground to Expose Housing Sewer Run By Sub Prime Mogul/Owner Wesley Edens; Broaden Fight For Better Housing/Community Improvements. NY Times Story Here Explains. Read my comment - "Walker Belly Flops in Money Puddle" - here. 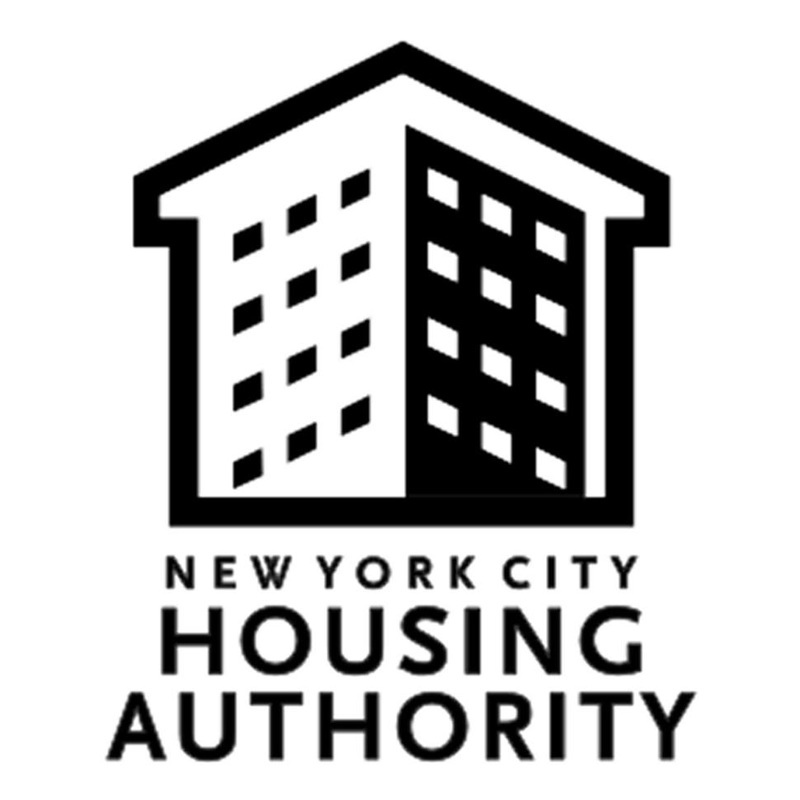 “It leaks all over the place,” explained Llumi P., who did not want her last name published because she fears angering New York City Housing Authority officials. 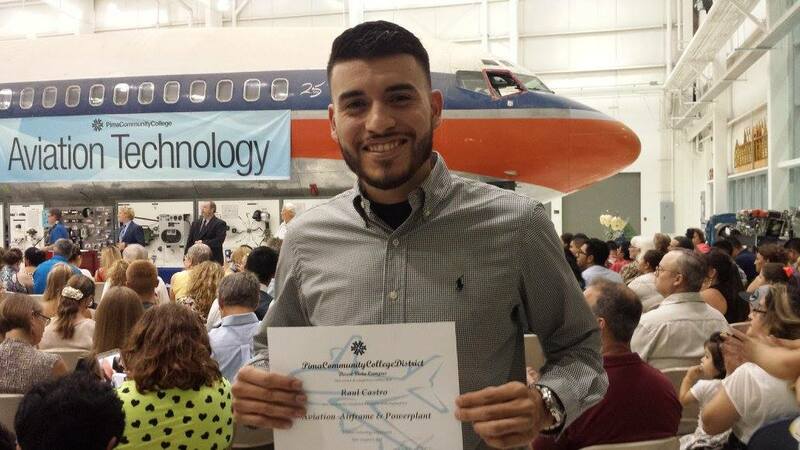 JobPath's high wage, high skills training builds skills and character. 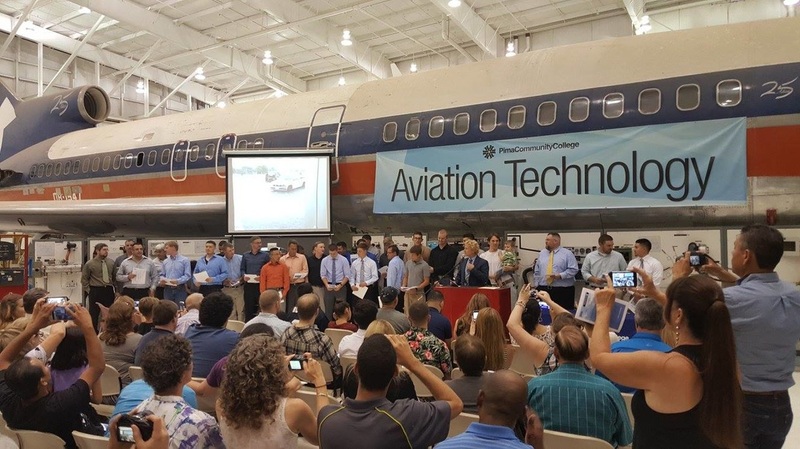 Partnership with Pima Community College excels. More on JobPath here. 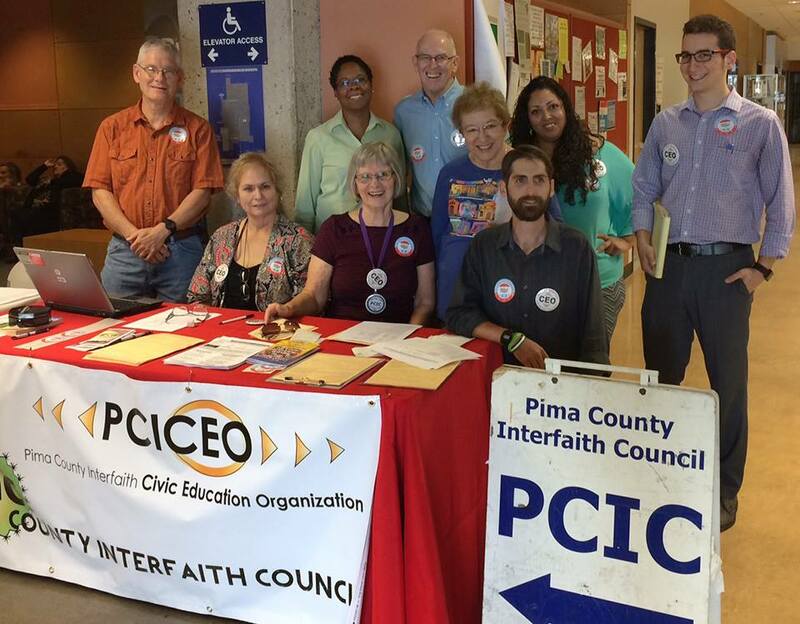 More on the political backbone of JobPath - Pima County Interfaith Council (PCIC) - here. That Defends The Health And Safety of Children Like This! "What many may not know is that in Milwaukee, school buses can't use those tools: Bus drivers can turn on only yellow flashers, and other motorists aren't required to wait for the loading or unloading to finish before pulling around the bus." 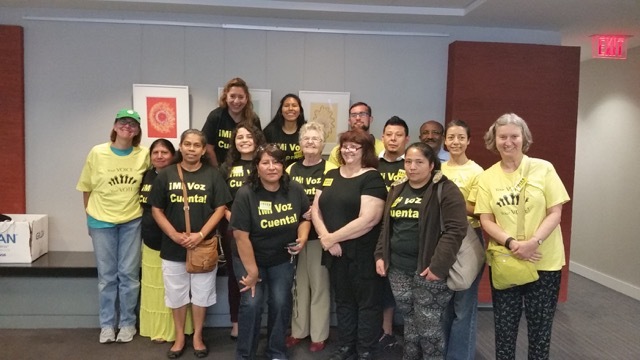 On Sunday, Common Ground organizers and two aldermen committed to getting the city to adopt an ordinance that would require the common safety practices found elsewhere. Read the Milwaukee Journal Sentinel story here. Red state, blue state, purple state. IAF organizations are thriving everywhere. No blowhards, bombast or phonied up poll tested positions. Just thoughtful inquiry, deep relational work, strategic alliances and strong turnouts when it counts the most. When IAF organizations speak, power listens. Read about this exceptional, wide ranging work right here. The San Antonio Current story is right here. Good tv news story here. Want to know more about what's happening in red state Texas, including comprehensive media coverage? It's all here. Really good summer reads up on the DF Journal. Check it out here. "For more than a year, we and fellow religious leaders across the nation have worked to persuade President Obama to use what we believe is the most powerful tool government has in this area: its purchasing power. 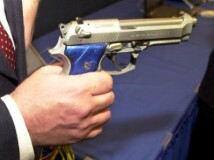 The federal government is the nation’s top gun buyer. It purchases more than a quarter of the guns and ammunition sold legally in the United States. State and local law enforcement agencies also purchase a large share. Major gun manufacturers depend on these taxpayer-funded purchases. For the government to keep buying guns from these companies — purchases meant to ensure public safety — without making demands for change is to squander its leverage." From full NY Times opinion piece authored by Metro IAF leaders. Go here. 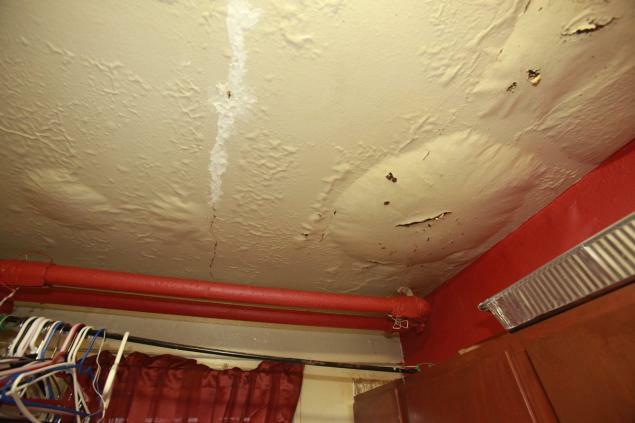 "NYCHA officials have repeatedly fixed the numbers in the their backlog of repair requests without actually fixing the problems, according to a damning audit City Controller Scott Stringer released Monday." NY Daily News reports here. Whatever strides he and New York City Housing Authority Chair Shola Olatoye claim in advancing the turtle’s speed with which 400,000-plus housing-project residents can expect repairs — and however promising their plans to restore NYCHA to sound financial and physical footing — the day-to-night miseries of tenants cannot endure a minute or month more. 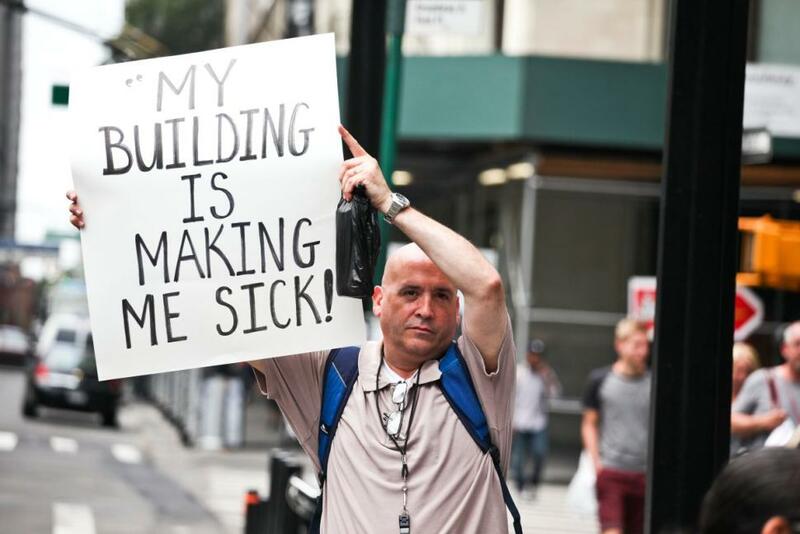 “It is time,” chanted tenants in front of City Hall on Thursday, demanding with the Industrial Areas Foundation immediate action. 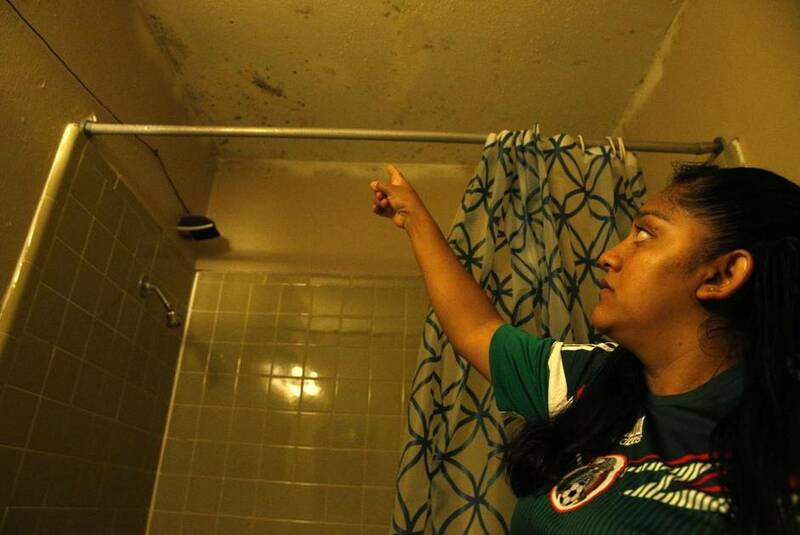 One wept after describing a leak in her building so destructive the Fire Department was forced to shut off water. 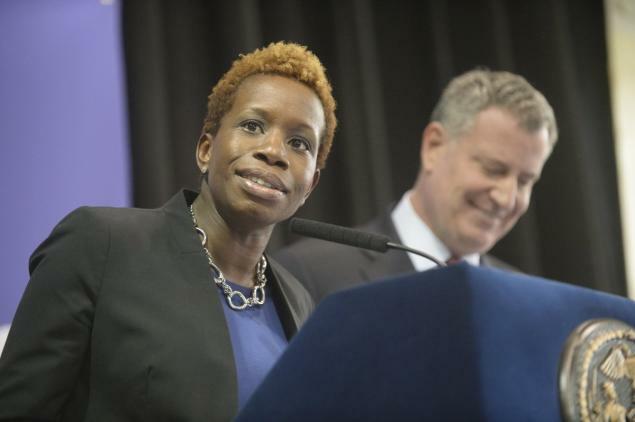 In her words: “It’s like the mayor didn’t care.” NY Daily News story here. 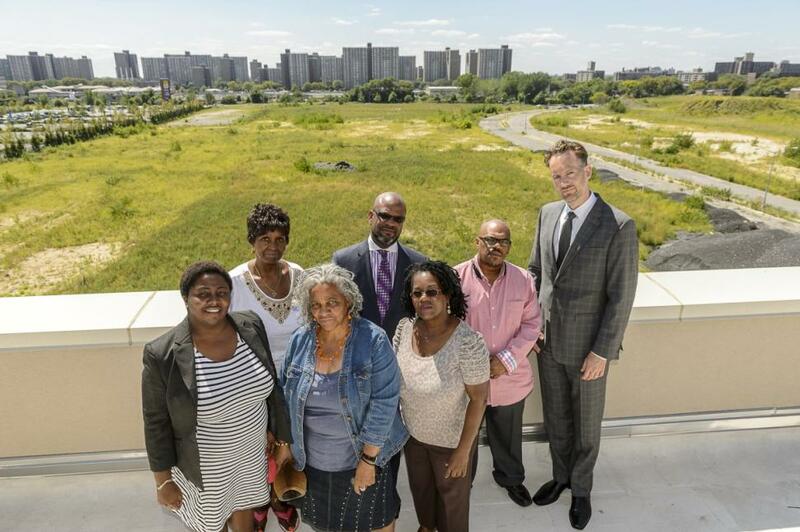 Vid of panel explains why they're critical of NYCHA here. 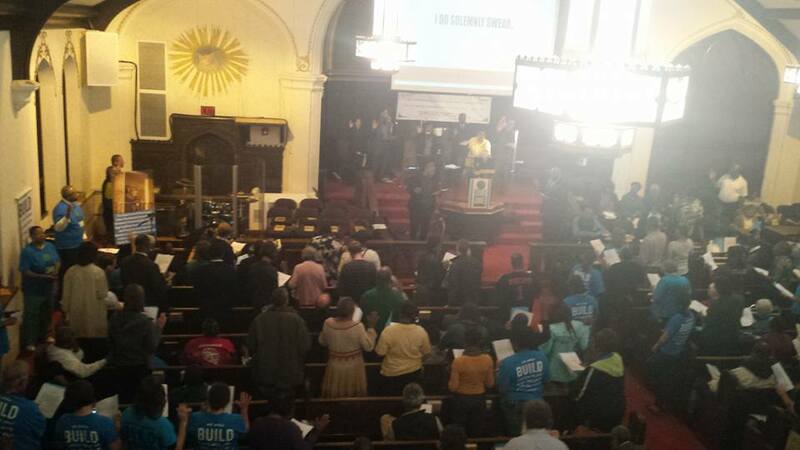 "In BUILD, we believe it's a new day," said Rev. 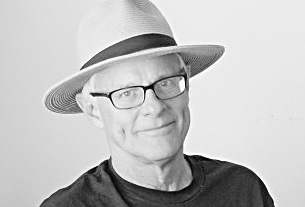 Andrew Foster Connors, BUILD clergy co-chair. "And we're ready to roll up our sleeves and work with Commissioner Davis in rebuilding the trust that's been broken in the community." 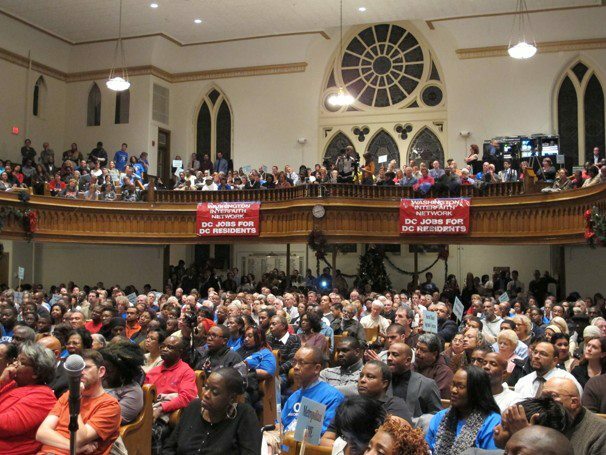 The city needs to address its problems swiftly because it is in crisis, clergy members said. If the department needs more officers, Davis should call for additional ones if needed, they said. Baltimore Sun story here. 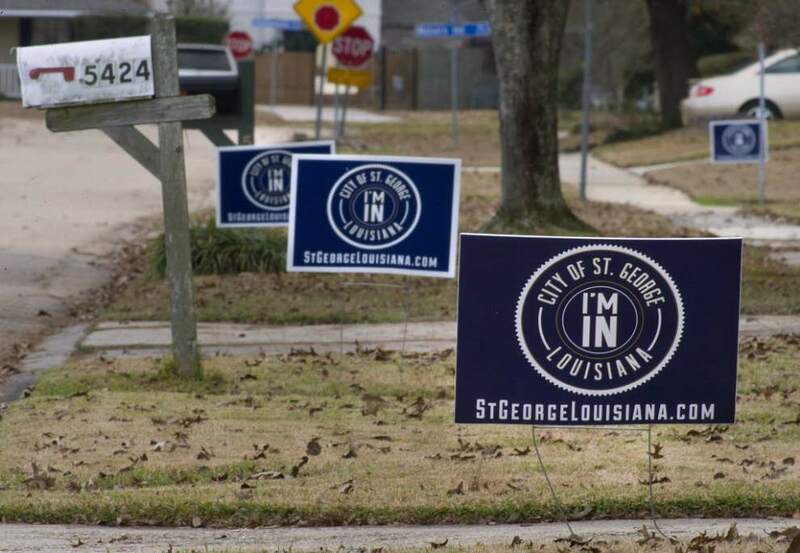 “We’d like to thank the registrar for their continued public service on this matter, especially in the face of litigation from St. George advocates,” said M.E. Cormier, a Better Together leader. 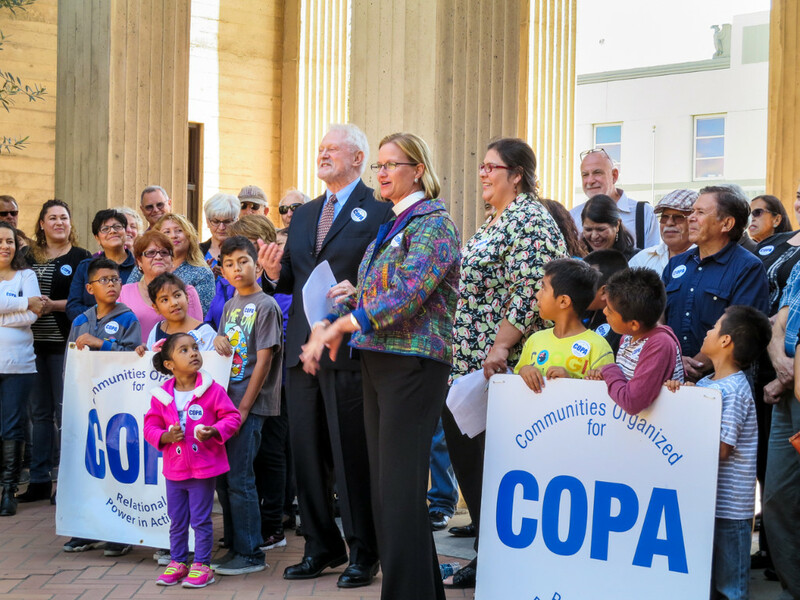 “We are looking forward to putting all our energy into our schools where it belongs and putting this divisive and litigious issue behind us.” The Advocate story here. 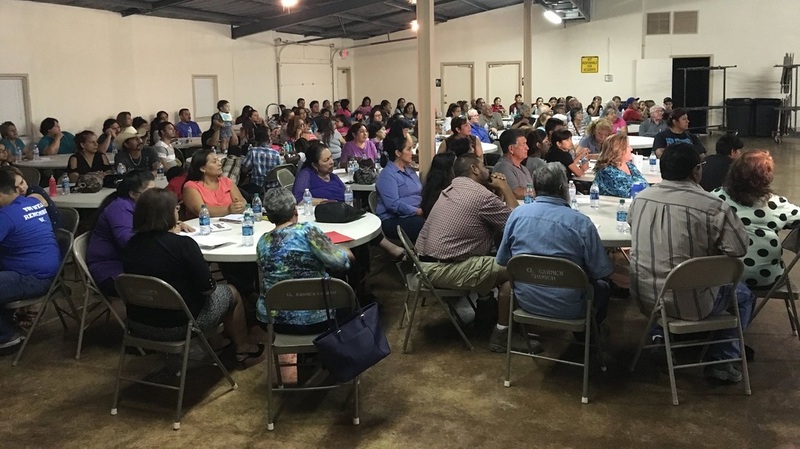 "Communities Organized for Public Service and the Metro Alliance, or COPS/Metro, one of the leading wage advocacy groups in San Antonio, started its living wage campaign about a year ago. The goal is to raise hourly wages for public workers to at least $14.91 — the average amount needed for a family four to stay off government assistance such as food stamps. 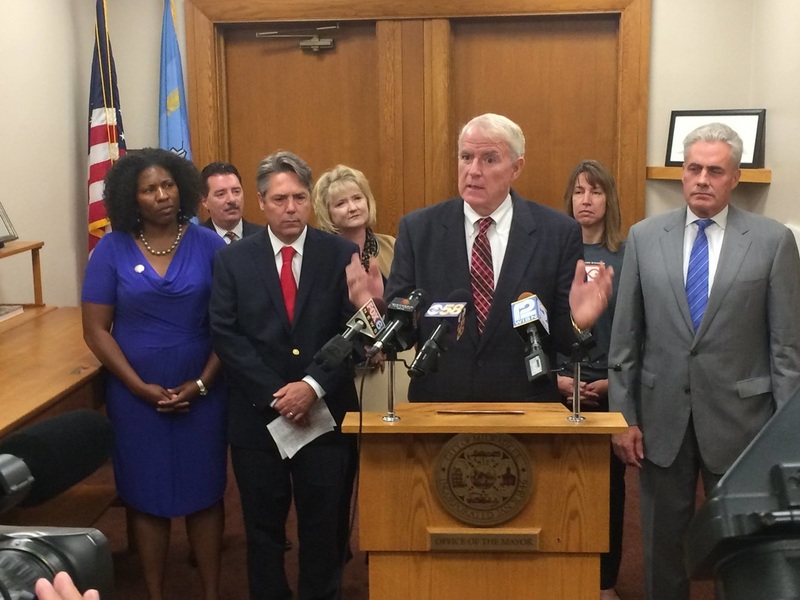 "We look at a budget as being a moral statement. What you pay your people says a lot about what kind of boss you are, what kind of institution you come from," DeGerolami said. "It's a matter of social justice. It's a matter of the dignity of work." 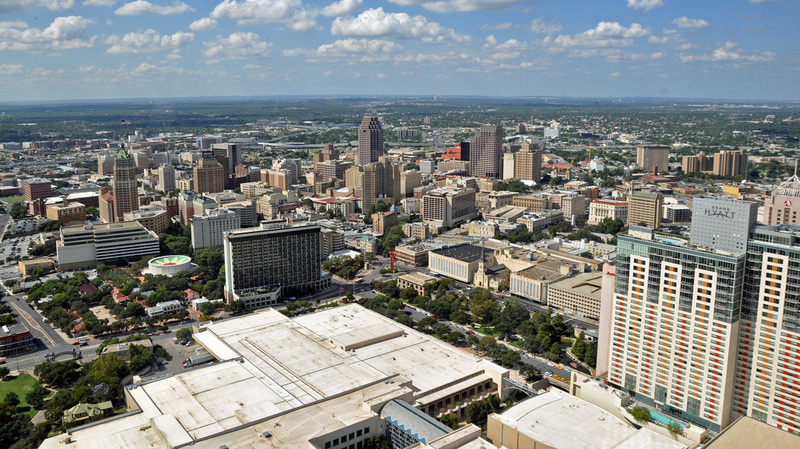 The San Antonio Current unpacks the story here.